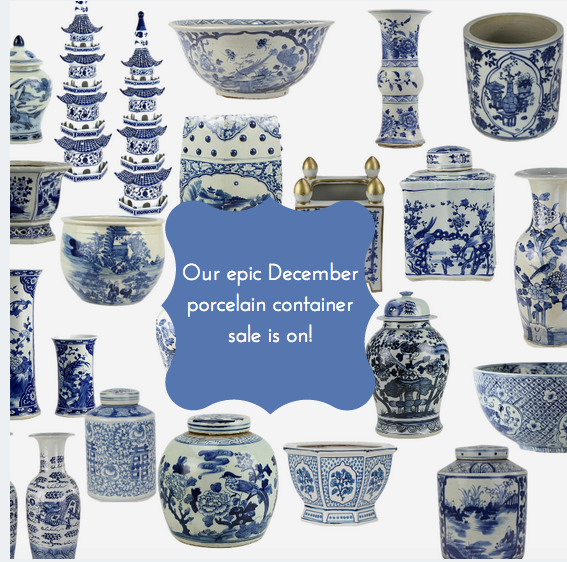 The mega December porcelain presale is on- our biggest yet plus a giveaway! Good morning!! This is B I G, very big. So just a word of advice- don’t read this standing up, you will need to sit and while you are at it grab a cup of coffee (or wine depending on the time lol). 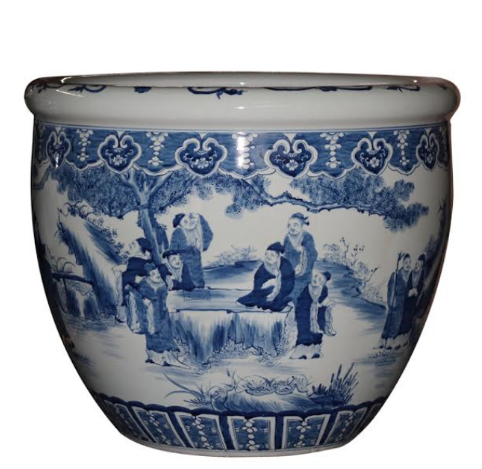 So as you know TEH imports porcelain containers about once every 8 weeks and we are eagerly awaiting our mega container arriving in the beginning of December. 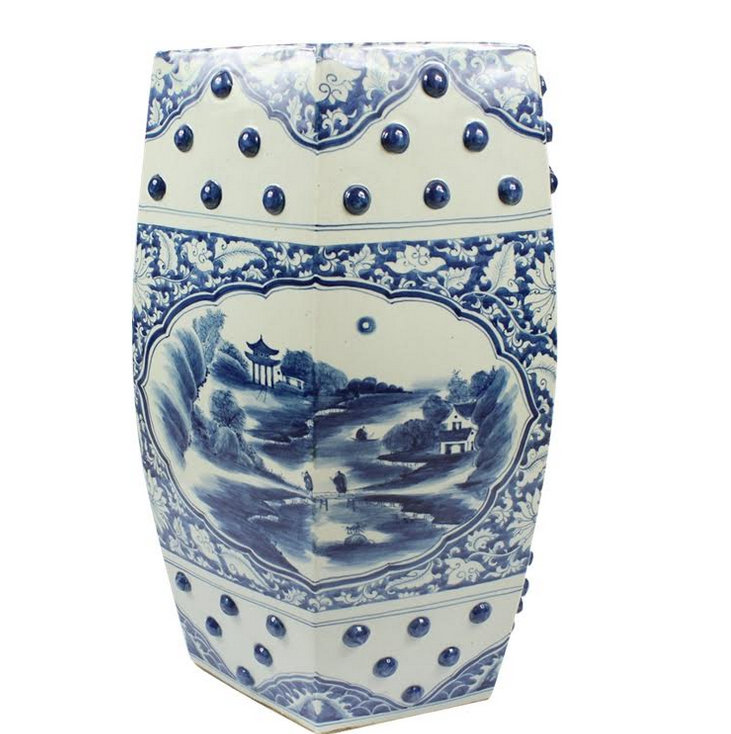 We are becoming well known for our vast selection of blue and white and with good reason. I take my job quite seriously and love finding new pieces to introduce to our growing family of porcelain. There is so much here, that it is safe to say there is something here for everyone, no matter what style you might be or what size home you might live in, big and small. Plus this is perfect timing to give a special someone a blue and white holiday gift…and who wouldn’t love that! This container is due here on or about Dec 6th and items will start shipping immediately upon arriving to warehouse. ITEM 1. NEW! 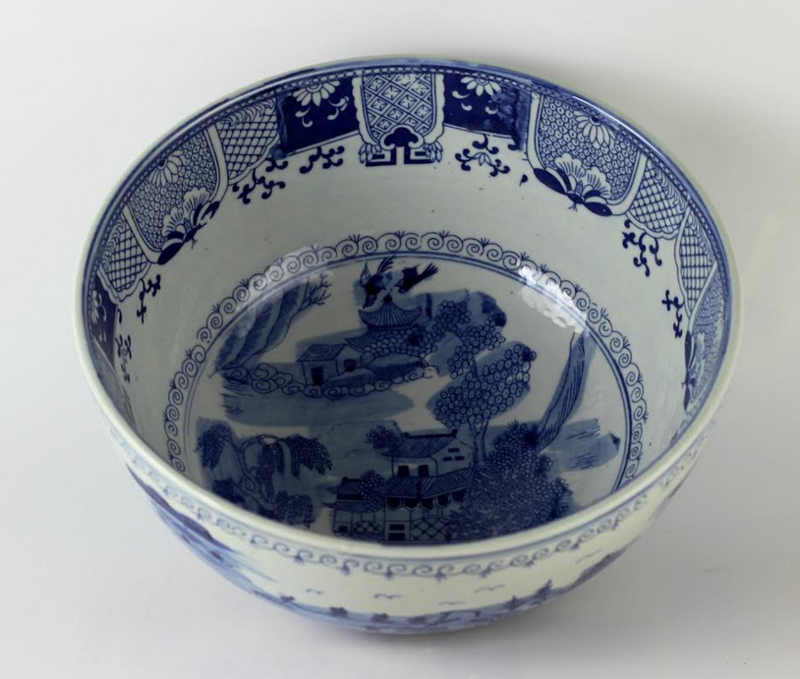 Magnificent new pheasant bowl. Love this bowl and so happy to add it to our collection. 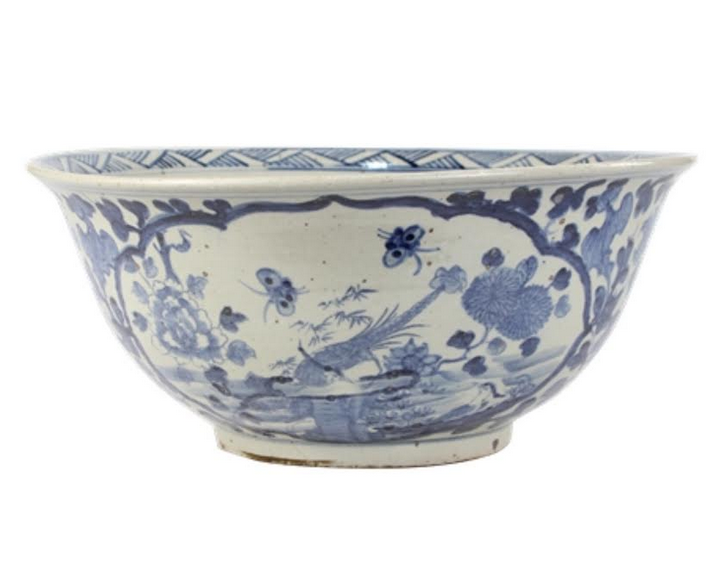 Perfect as a centerpiece bowl for a dining room or kitchen island. Always would be lovely planted with orchids. 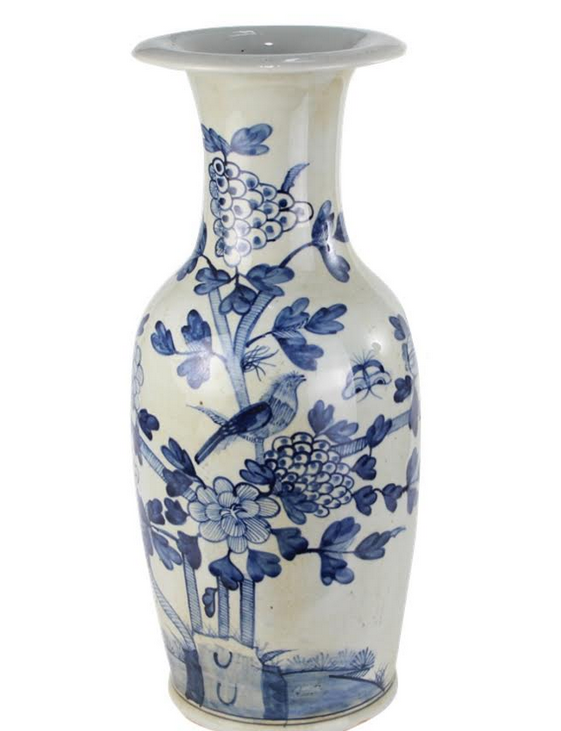 Features a fabulous pheasant/floral design. ITEM 2 NEW! 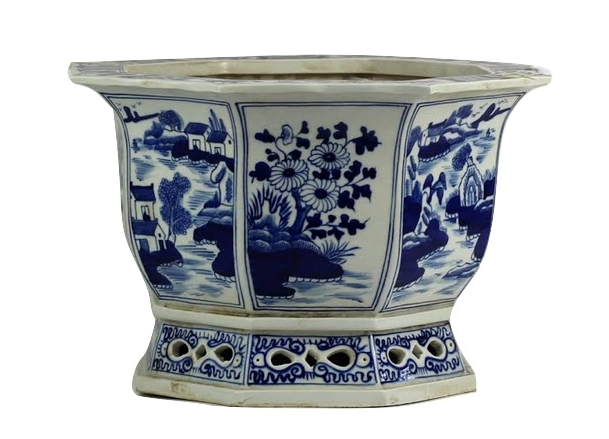 Gorgeous new mid sized planter in two magnificent patterns, all over floral and trellis. This beauty would be perfect for holiday flowers, an orchid or boxwood ball. 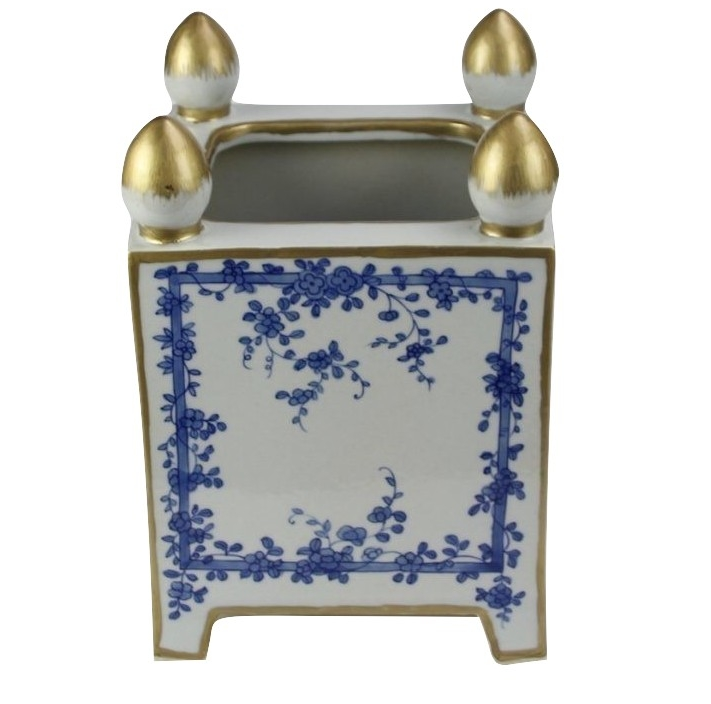 Beautiful floral design on entire planter and perfect mid size makes this a very versatile planter. ITEM 3 NEW! Incredible new tea jars are coming in, two different sizes and patterns, both classically elegant. A long time in the making and so happy to finally be offering these beauties. In two different styles. 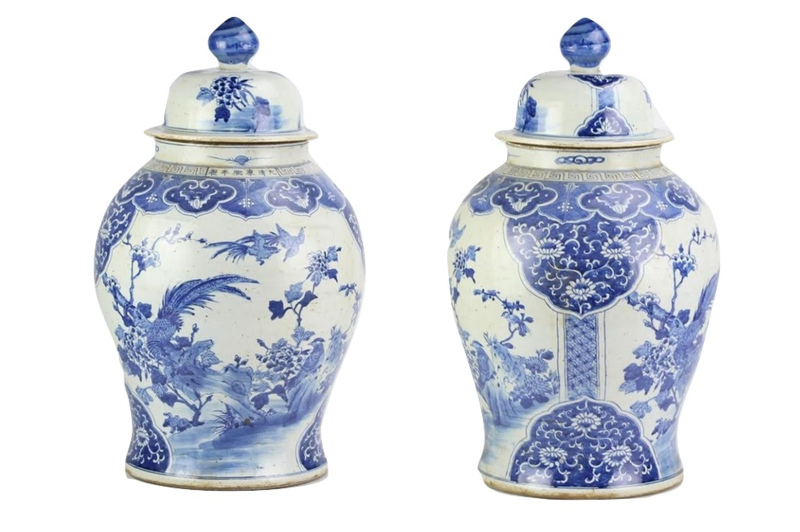 These gorgeous tea jars are gorgeous as pair and will fit beautifully any into existing vignette. ITEM 4 NEW! These fabulous best selling jars are finally coming home! Getting in plenty to go around. 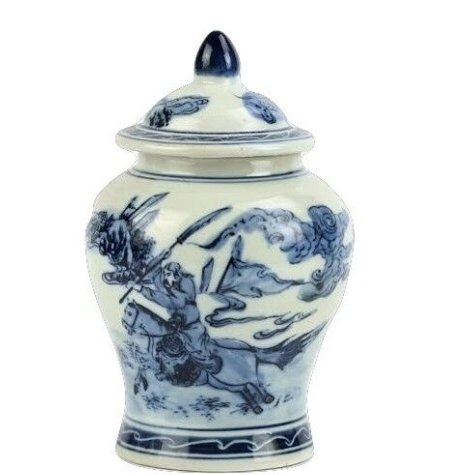 Features the elegant dragon classic scenery on both sides of the jar, lightly antiqued. 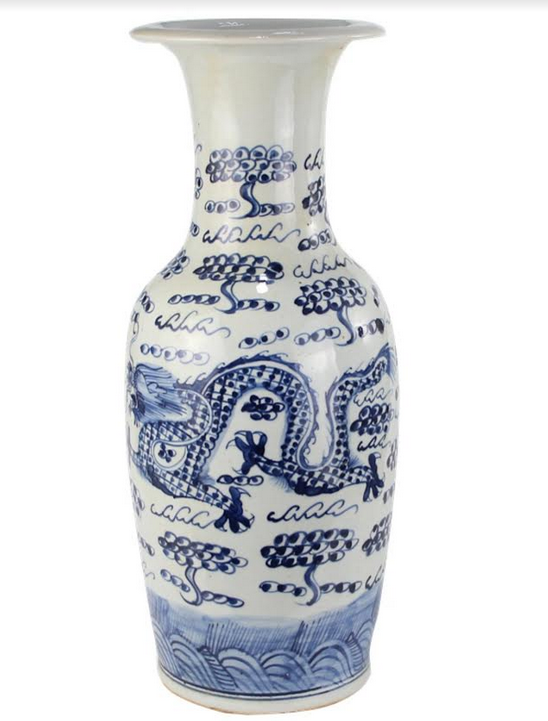 Measures 17.5″ love the chunky shape and elegant foo dog top. ITEM 5. NEW! Incredible scalloped tea jars. So love this jar! Beautiful scalloped shape and perfect size. The shorter depth makes this a perfect piece for decorating on mantles, consoles, etc…Gorgeous as a pair or solo. ITEM 6. 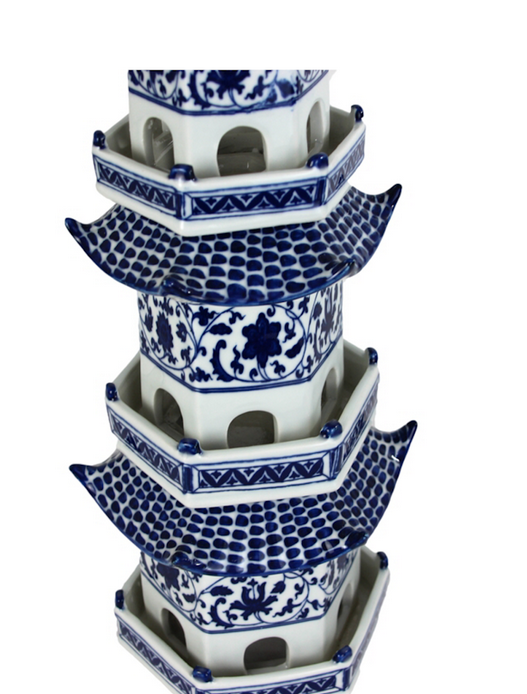 Our ultra popular mid sized pagoda is finally back! This beauty is one of my all time favorite pieces and i move mine all around, used it on my dining table, on consoles, outdoors when we are entertaining. Super versatile and incredible elegant. A real statement piece! ITEM 7. Our fabulous top selling large garden seat will finally be in stock again. 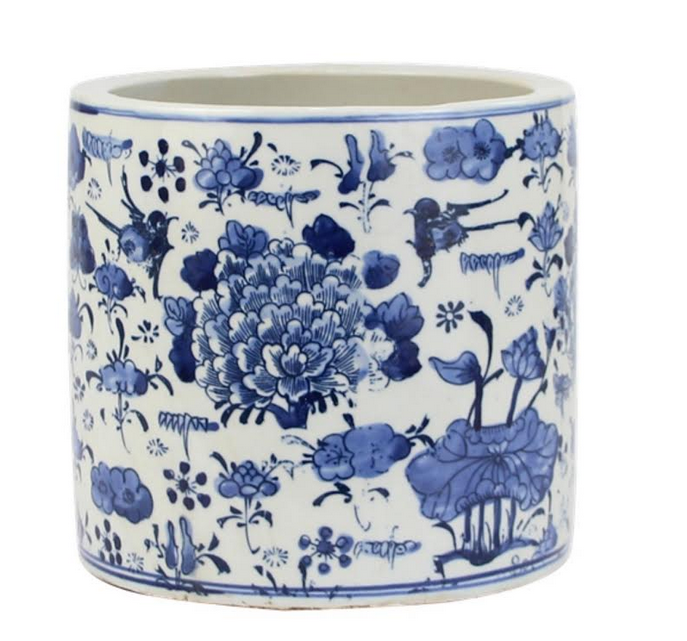 Features a most elegant floral design and raised bumps. This is as pretty as they get in the world of garden seats. Perfect for indoors or out. ITEM 8 The top selling village scene bowl is on it’s way and this time we doubled up on the amount we normally order as it always sells out. 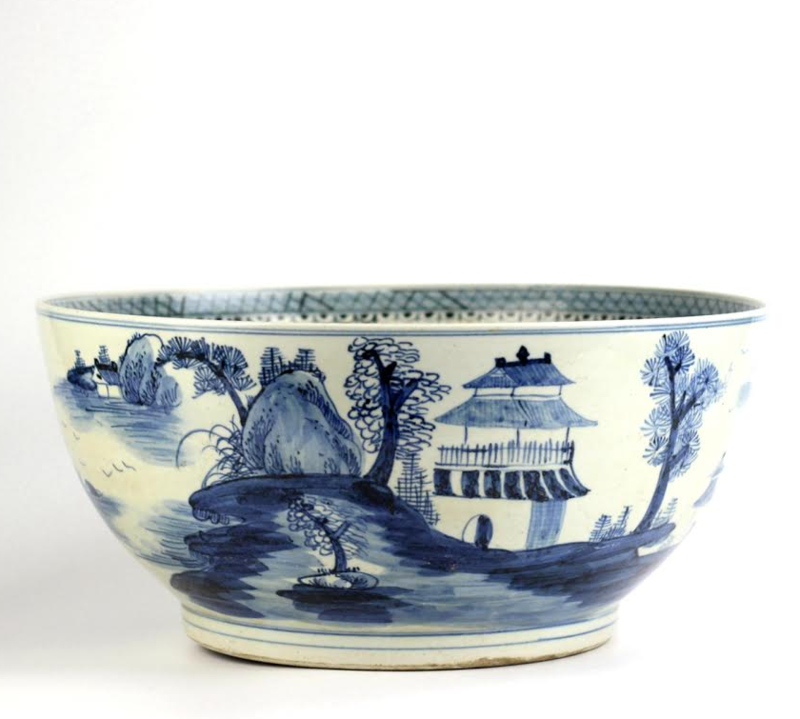 Beautiful village scene is handpainted onto the entire bowl. 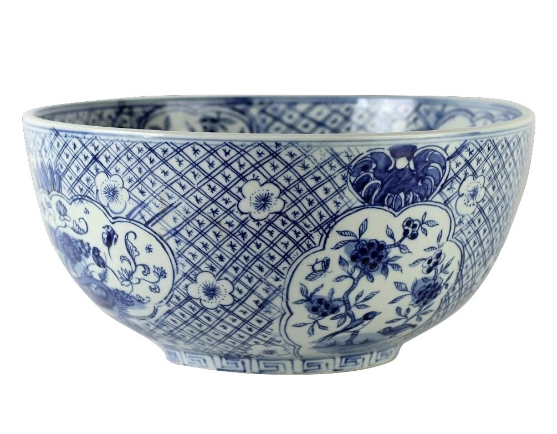 The size of this bowl is so impressive and when people get it they are always wowed. ITEM 9 The very popular Ralph vases in the small and medium are coming back. 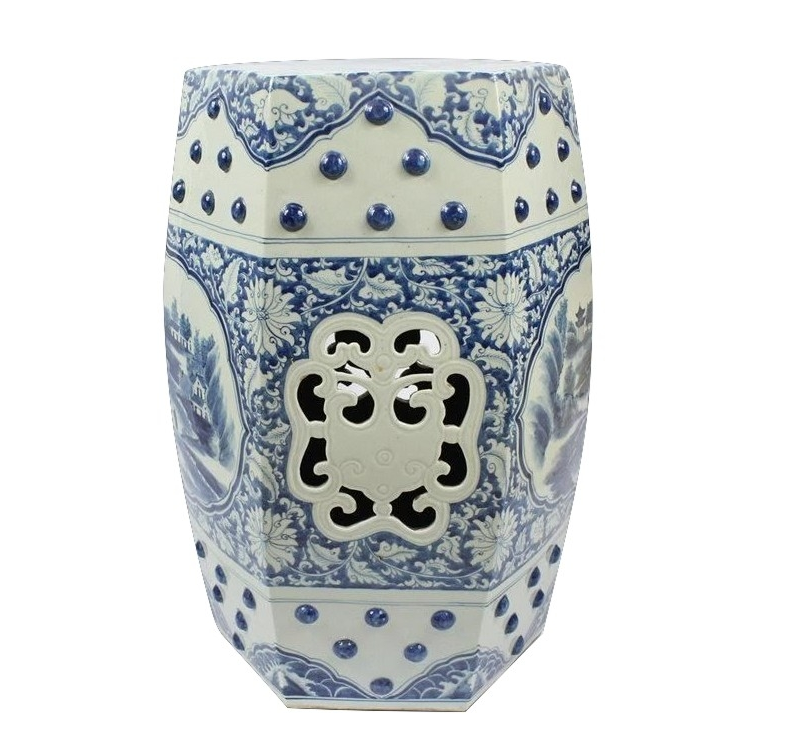 These very popular vases are such beauties, the design is so elegant and eye catching. Perfect for weekly flowers, on a console or as a pair on a mantle. ITEM 10 NEW! Adores this mid sized planter/fishbowl. 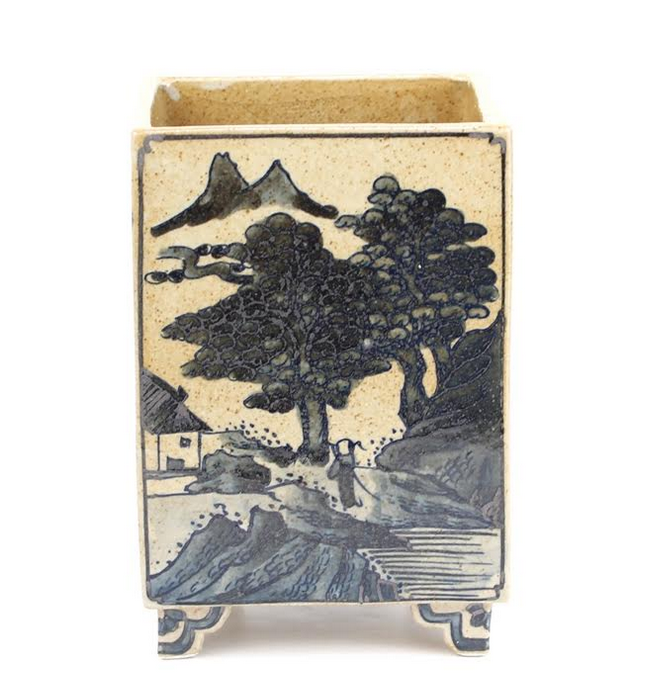 Simply gorgeous landscape/figurine scenery is painted onto this exquisite planter. Perfect sizes for orchids, flowers, boxwoods, this size literally works everywhere. Two fabulous designs, measures, either design. ITEM 11 Haven’t seen this in a while, the figurine chunky ginger jar. 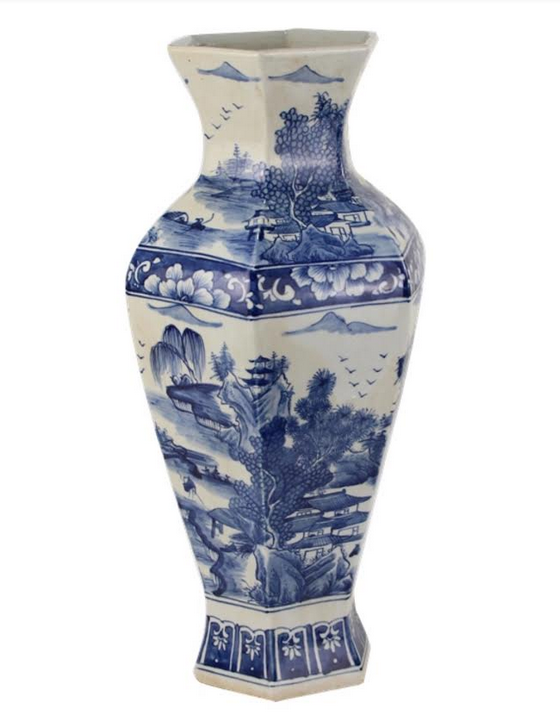 Love this piece, with the elegant figurine scene, lightly antiqued…this is a classic and love the chunky shape. 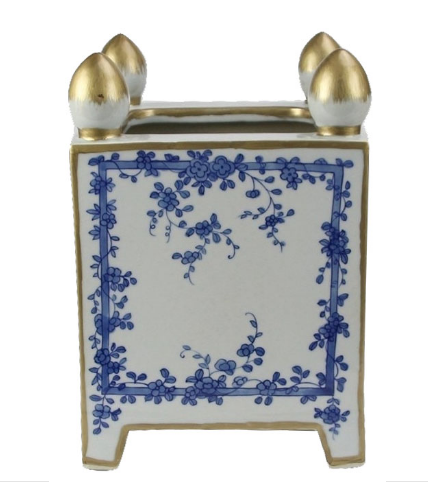 ITEM 12 Fabulous pierced scalloped planters, these are the prettiest planters period. The detailing is amazing and they are gorgeous potted with orchids or amaryllis. I have a pair in my living room planted with orchids and they are so elegant. Offered in an rectangular or round version. ITEM 14 NEW! Brand new vases, getting in a limited number of these for now and will get more in early 2019. 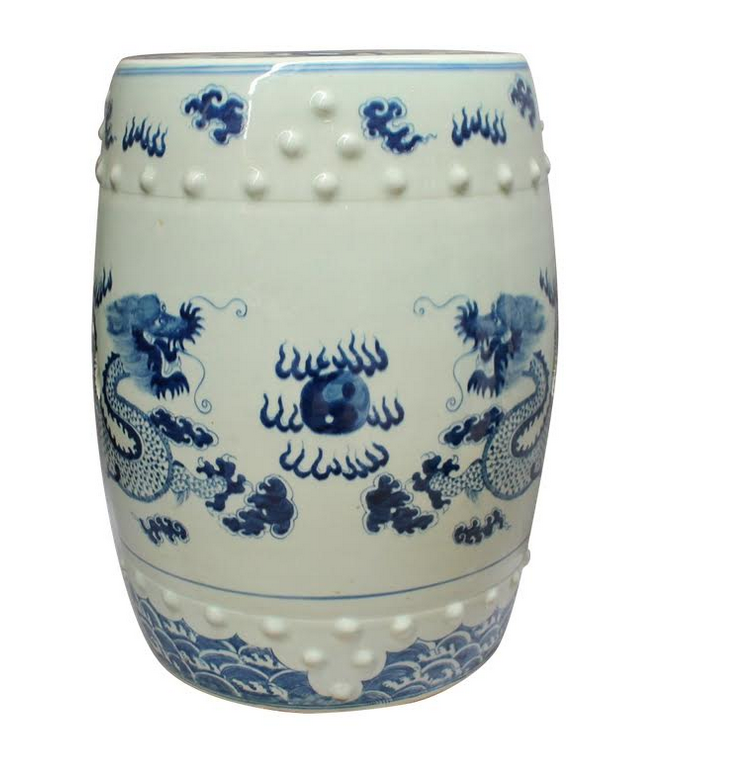 Love these dragon vases and will be taking home a pair:) Perfect for branches, cherry blossoms, holiday greens, etc….. ITEM 16 NEW! How fabulous. 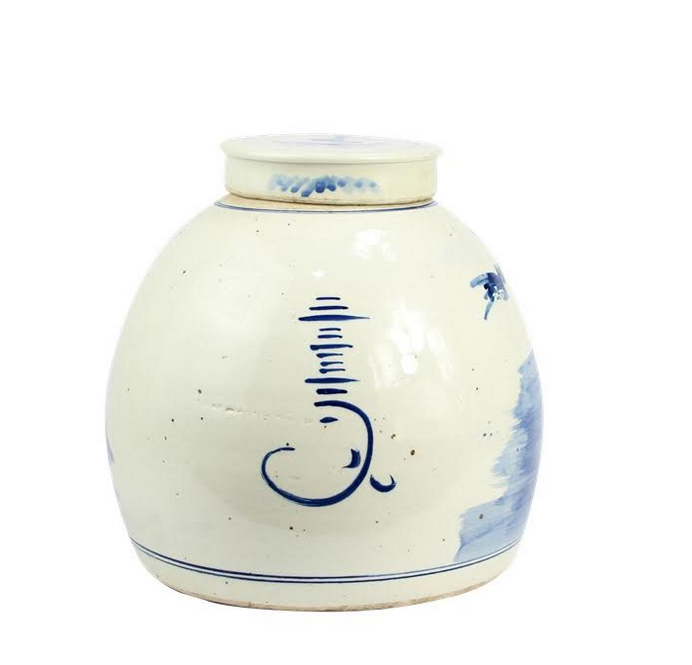 is this new bird/floral ginger jar. In love! 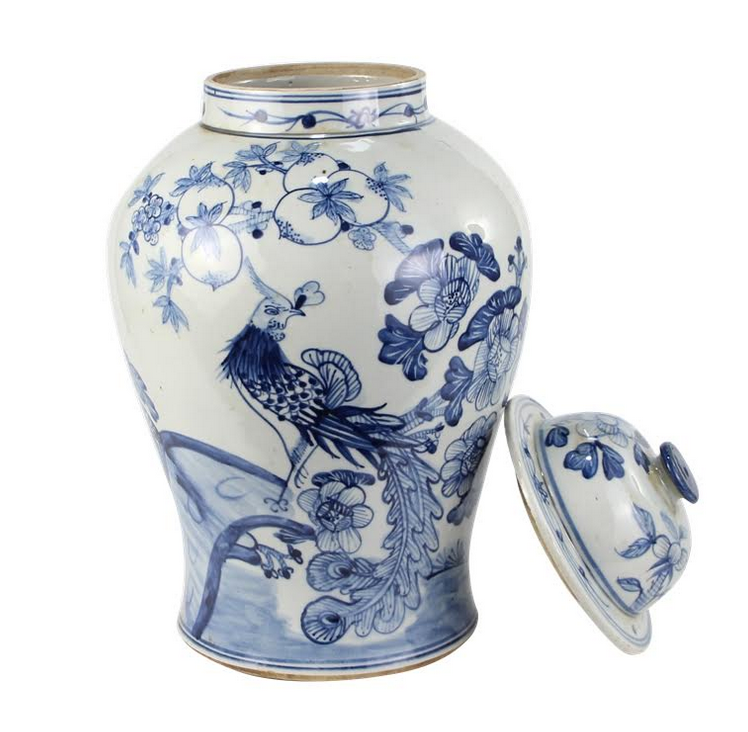 It is antiqued and features a beautiful bird scene. 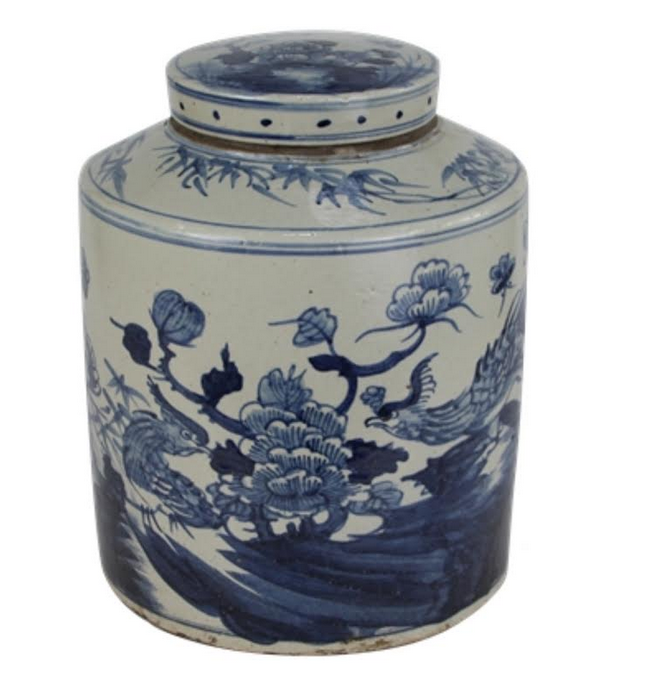 Highly decorative, a great mid sized ginger jar. ITEM 17 NEW! You asked for smaller pieces and you got them! 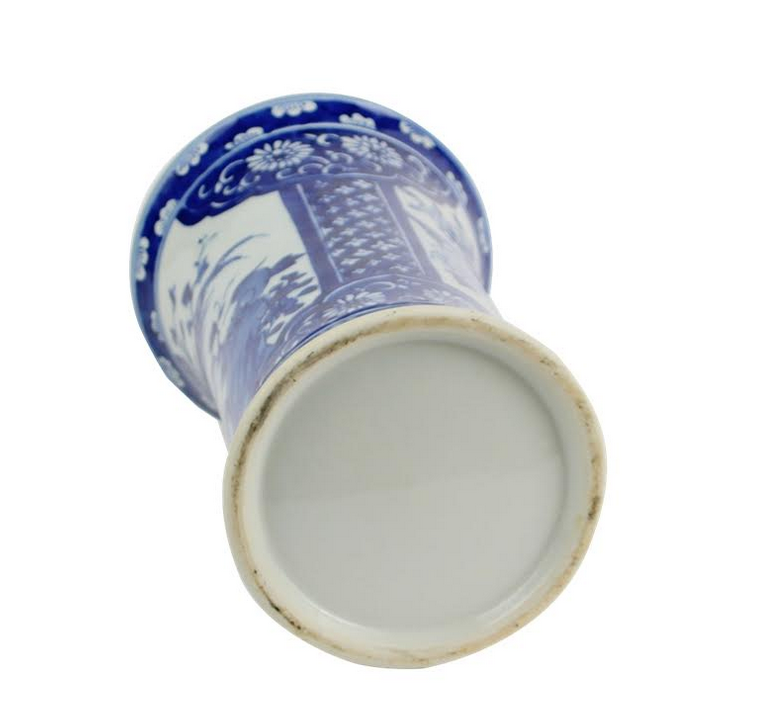 These are so pretty and done in the popular double happiness design. Perfect for smaller spaces and mantles. ITEM 20 Fabulous mid sized figurine with raised detailing fishbowl. Have a few of these outside and one indoors, works for both. 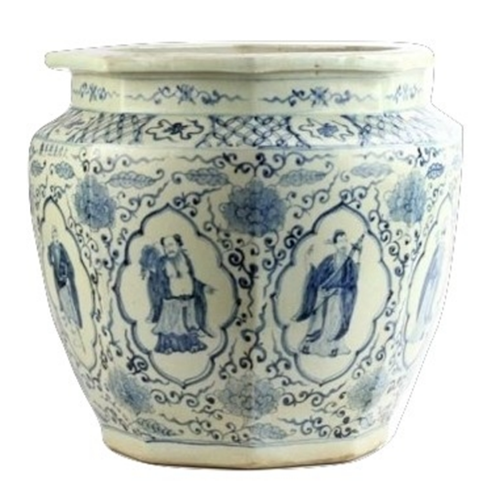 Elegant figurine scene is depicted on entire body of this fabulous fishbowl. ITEM 21 NEW! Another incredible pair of new jars, so love these. Very impressive and sure to wow. Love the design and size. Perfect for branches, holiday greens and cherry blossoms! ITEM 22 NEW! 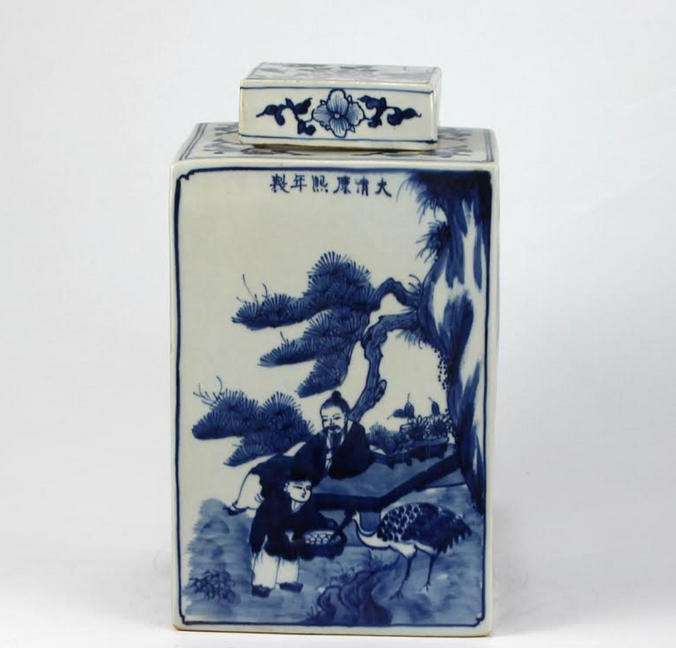 Gorgeous large double happiness flat top. 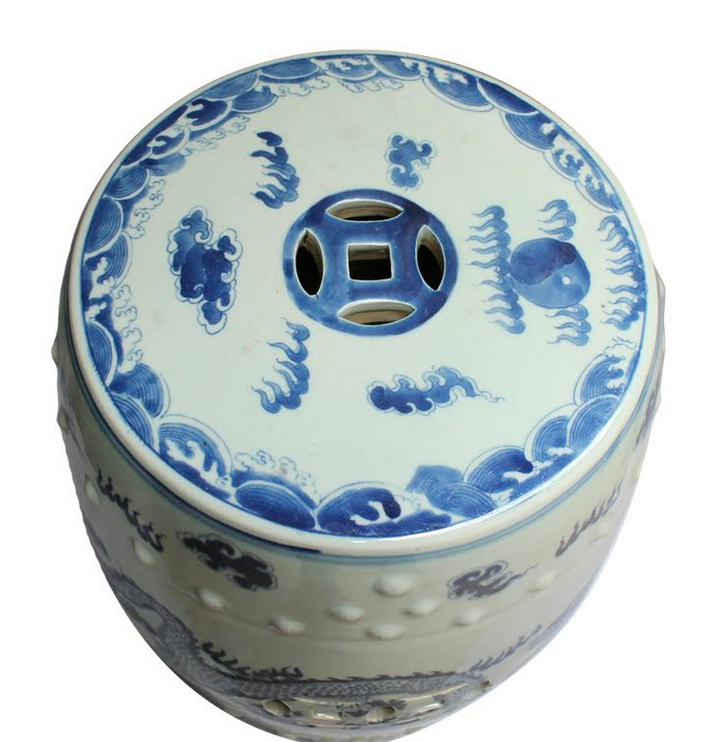 Great size and beautiful classic design of the famous double happiness. ITEM 23. Midsized flat tops are coming back. Our two best selling styles the figurine and the birds. Measures 8″ x 8″. 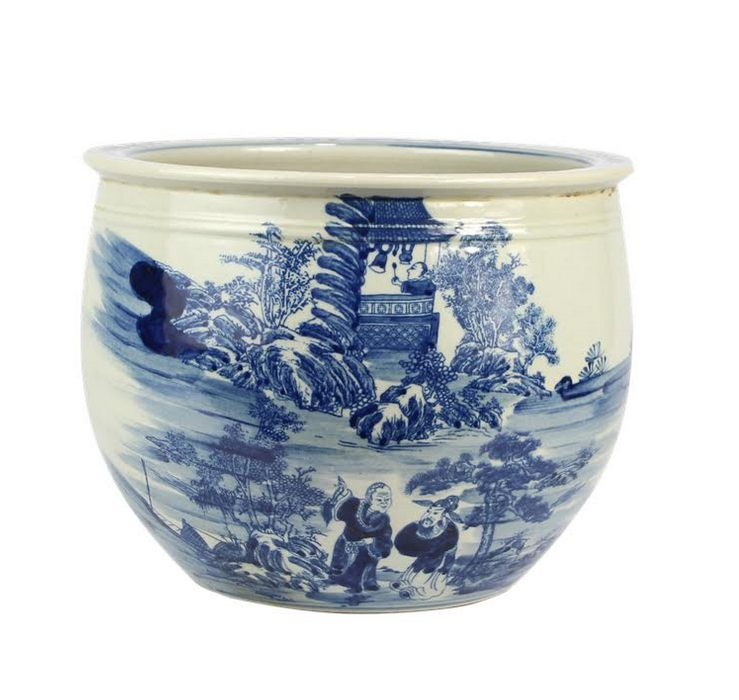 This size is perfect for literally anywhere and ideal to add as a pair to an existing vignette. Super stylish. These measures 8″ x 8″ $80.00 OR a pair for $145.00! ITEM 24 Some of our best selling garden seats are making their return! All were sold out but we will now be well stocked on all these beautiful garden seats! 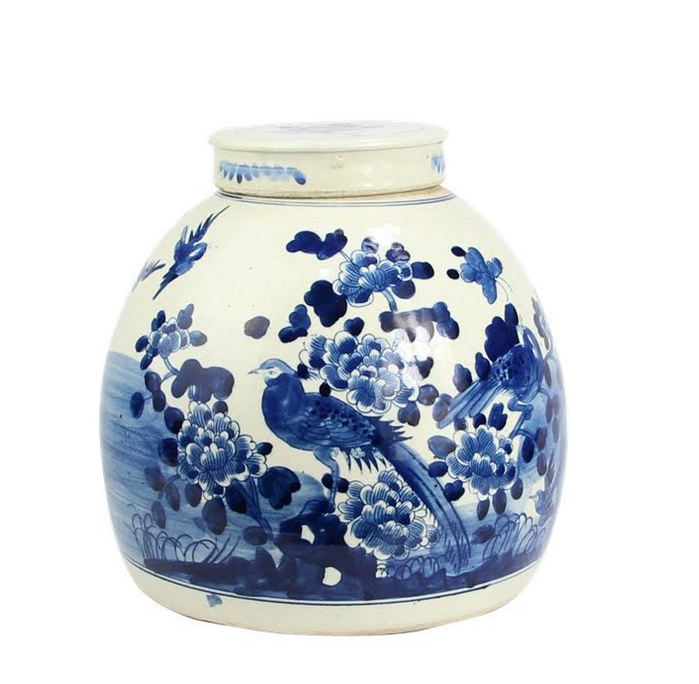 ITEM 25 One of our best selling large scaled jars, is this incredible pheasant jar. 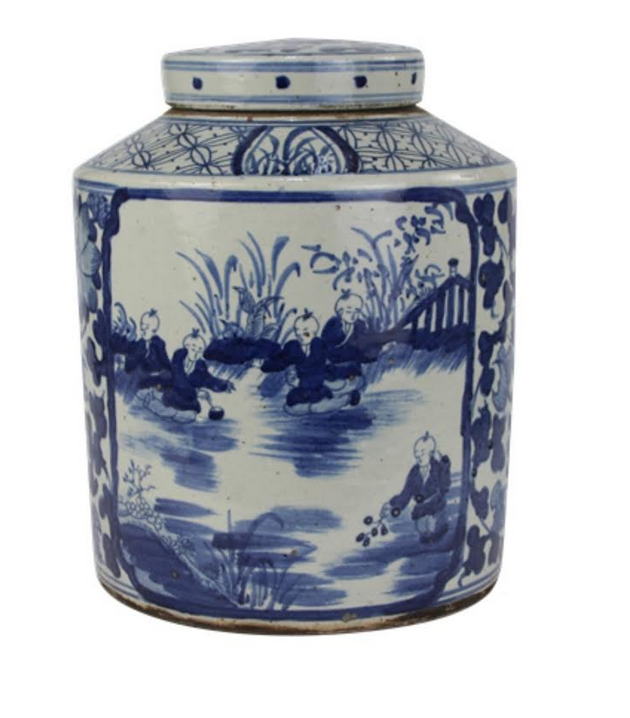 This is the kind of jar you get and in person are just taken aback by how incredible it is. I own a pair and adore them. 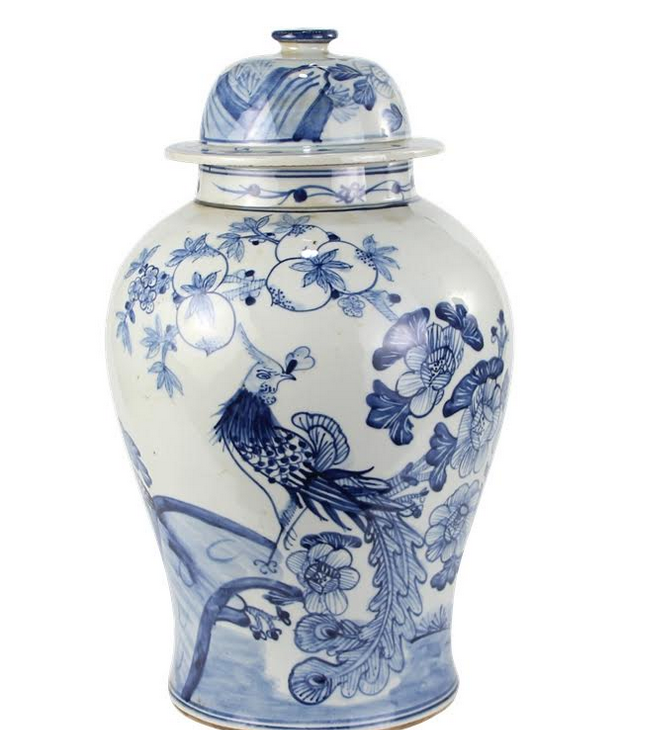 They feature the most beautiful pheasant and floral design intricately painted on all sides of this exquisite jar. ITEM 26. This darling mini jar is the cutest!! 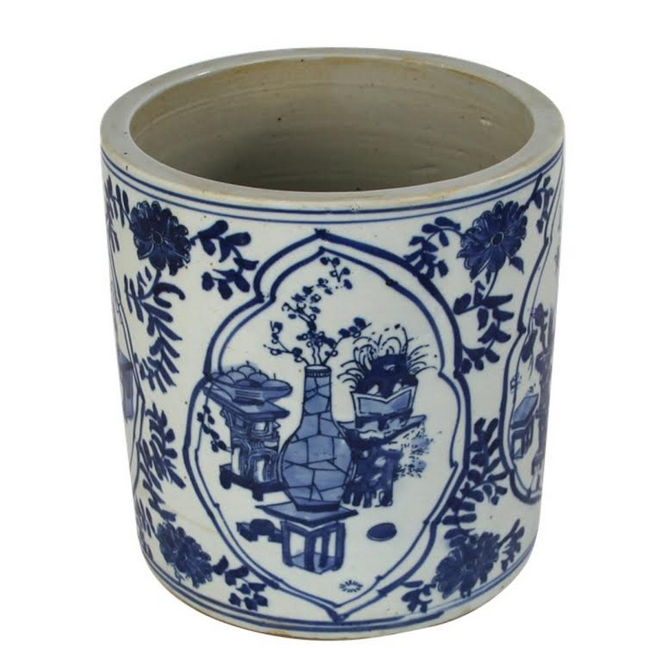 So many uses for this, great as a pair, perfect to add to an existing vignette. And with the top off makes a perfect little bud vase. ITEM 28 . One of our best selling trumpet vases is coming back. 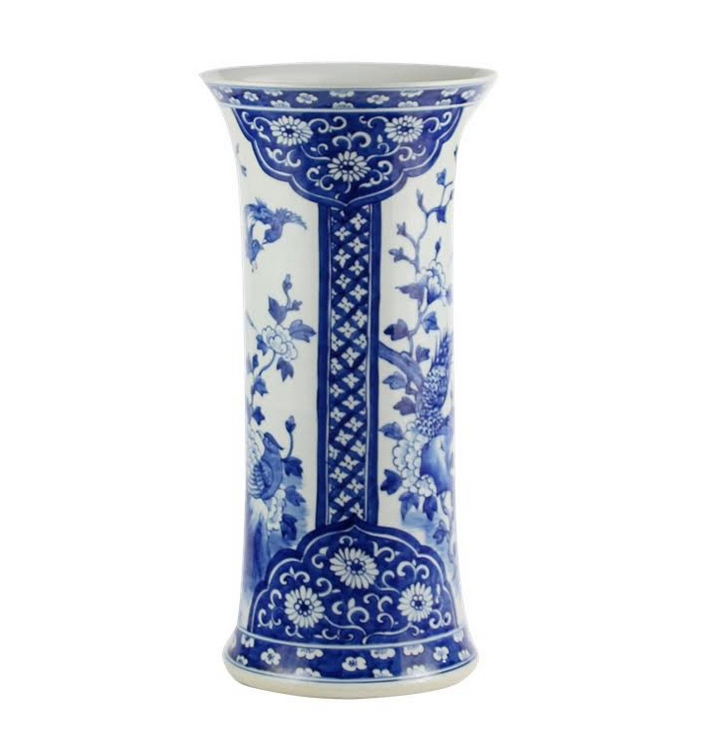 This mid sized vase is perfect for your weekly flowers or to add to an existing vignette. Elegant and so pretty. ITEM 29.NEW! 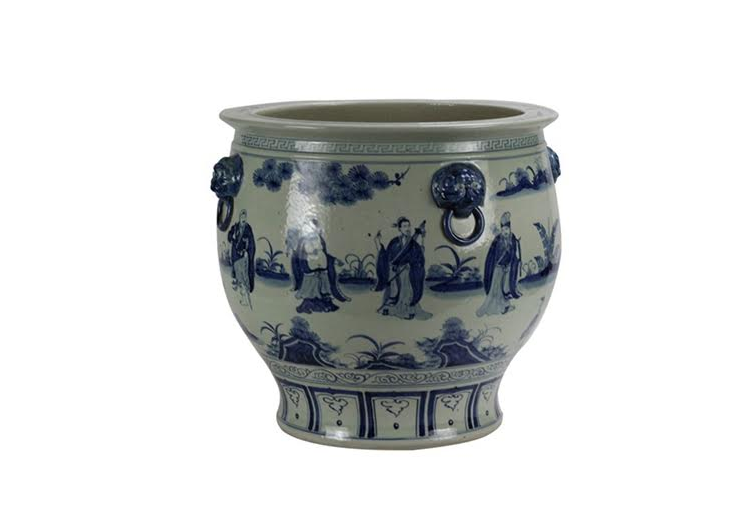 How pretty is this new straight mid sized planter with elegant feet. 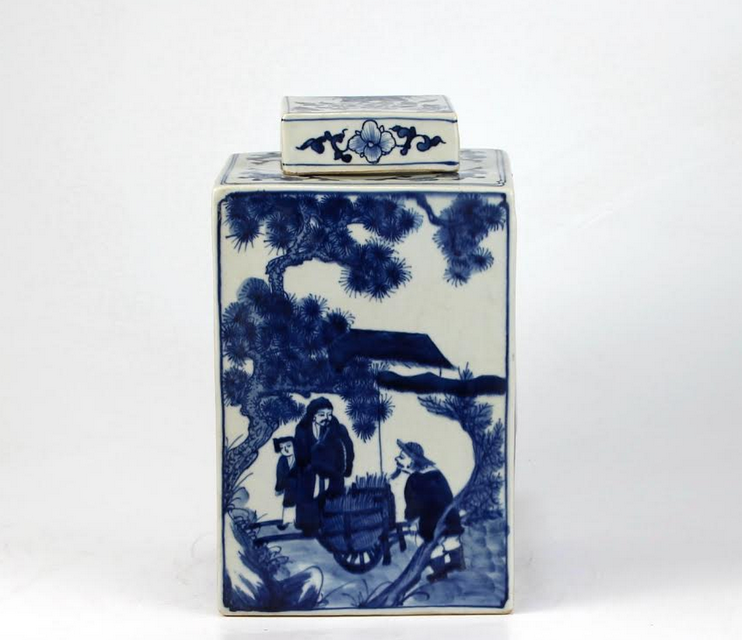 Love it, its antiqued and looks like a valuable piece you might have inherited. Just stunning for orchids, boxwood balls or holiday florals. ITEM 30 Our top seller figurine pencil brush holders are also on their way back, this darling figurine holders are perfect for desks or makeup tables. ITEM 31 NEW! 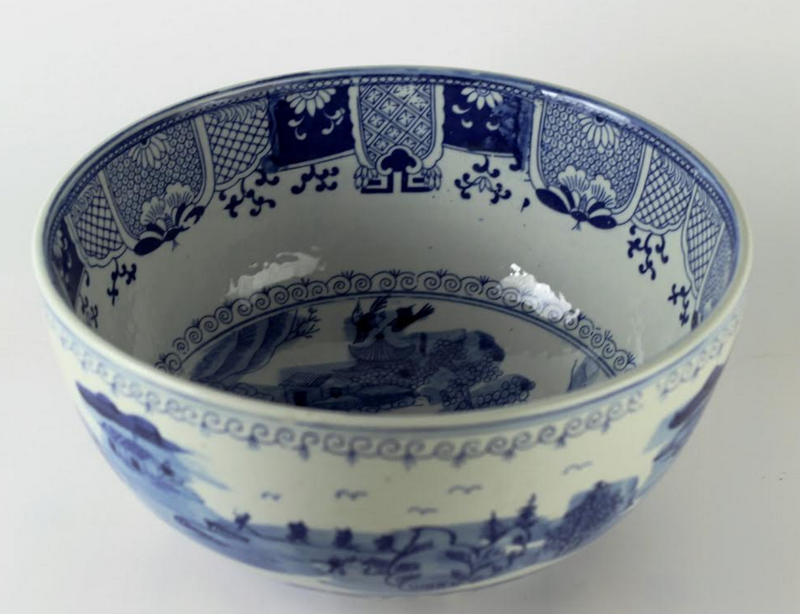 In love with this fabulous new bowl….as pretty inside as it is out. Limited numbers of this bowl. ITEM 33. 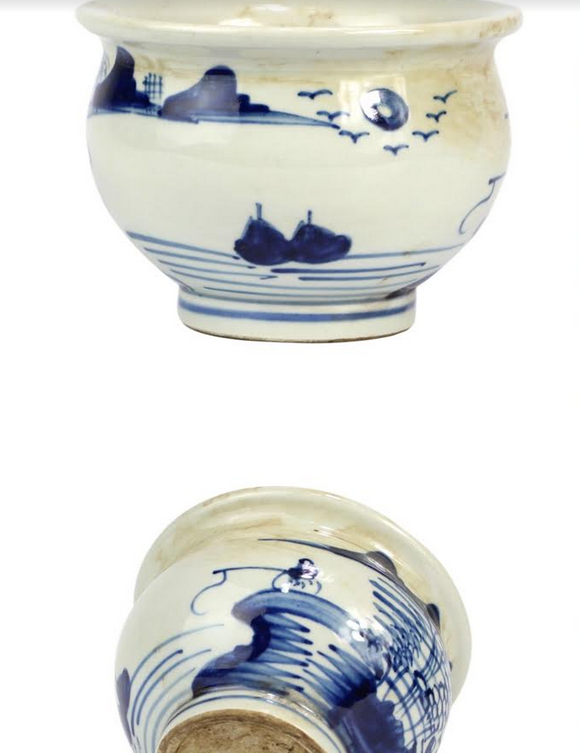 This fabulous figurine large fishbowl is coming back in limited quantities. Gorgeous for indoors or out, mine have easily withstood the NY winters and I have one inside with a big palm plant. Just stunning and beautifully hand painted on the entire body of the fishbowl. ITEM 34. 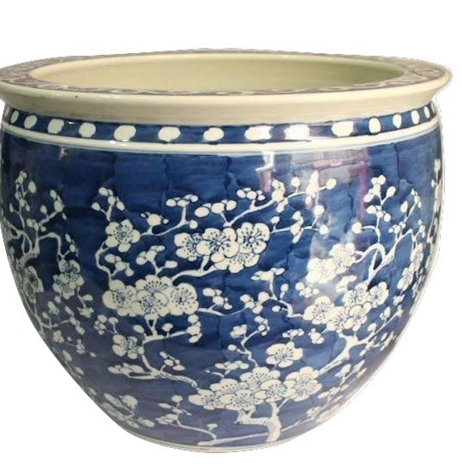 Our gorgeous navy cherry blossoms midsized fishbowl is such a pretty piece, perfect size to be used just about anywhere. This is especially beautiful with orchids, holiday flowers or amaryllis. ITEM 35. NEW! Fabulous new large flat top pheasant jar. 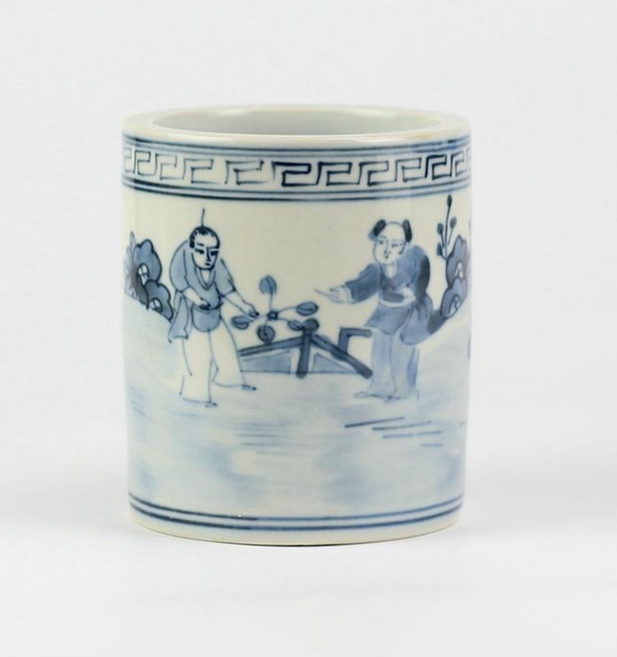 I love this piece and own two, so happy to be adding it to my collection. Really gorgeous and sure to become a customer favorite. 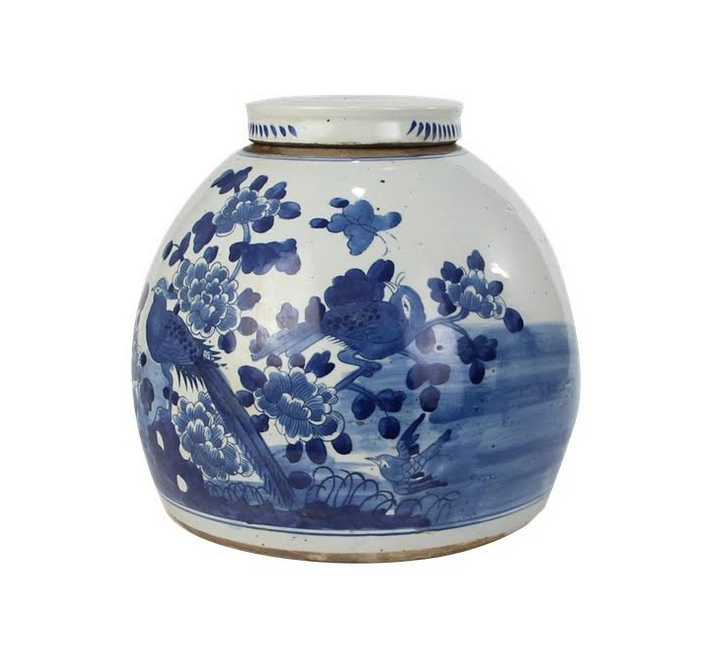 ITEM 36 This incredible hexagon figurine paneled fishbowl is one of my personal favorites in the mid sized fishbowls. As beautiful indoors as out and each panel features a different, a truly gorgeous fishbowl, super unique. THE ITEMS BELOW ARE VERY LIMITED ITEMS- getting in only 2-6 of the items below (more will come in 2019) so these are very very limited, first come first serve! ITEM 40 These elegant square flat tops are fabulous, offered in two gorgeous styles. Each has a slightly different scene painted on each side. 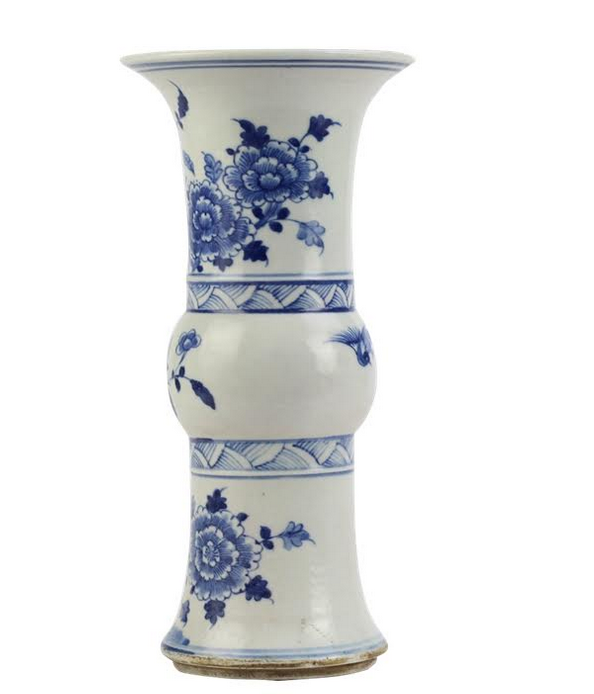 As promised one lucky reader will win this beautiful best selling mid sized trumpet vase! All you need to do to enter is leave a comment on this post telling us your most favorite item(s). That’s it. 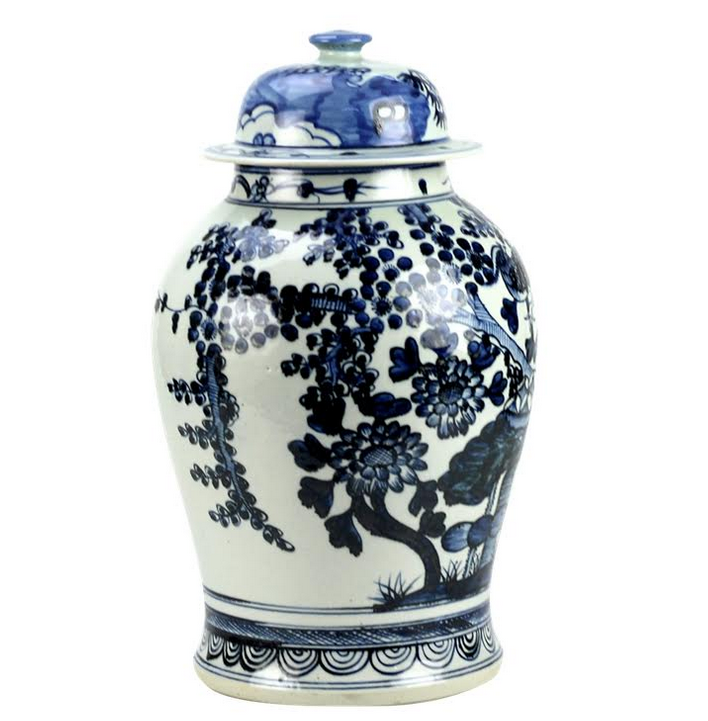 I will announce the winner on Sunday and when this container arrives the beautiful vase will be on it’s way to the lucky winner! Thanks so much for stopping in and seeing whats new and exciting. This will be it in the world of porcelains until later January. 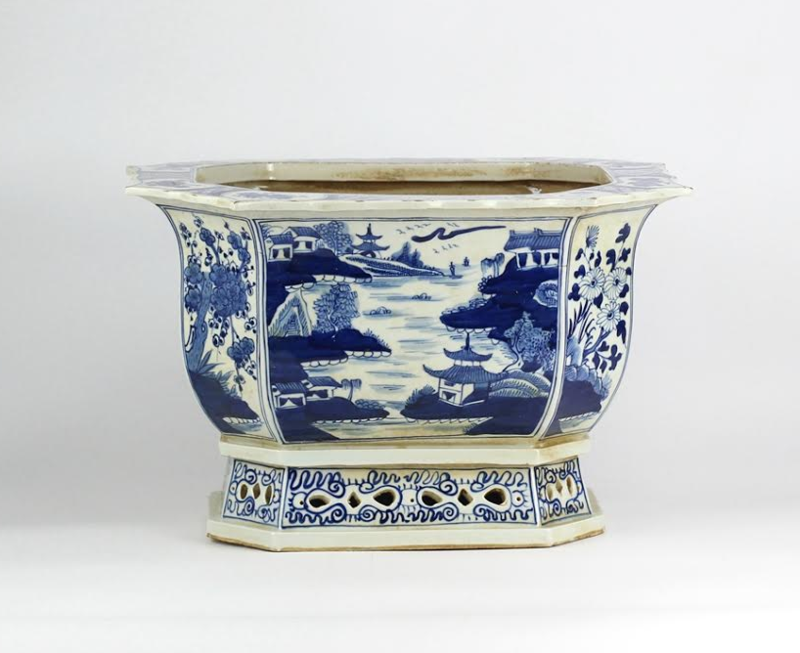 This is by far and by all accounts, the most exciting container yet, brimming with so many gorgeous new pieces…..fun fun fun! Wishing everyone a fabulous day. Until next time……..
Every single item is beautiful! One of my favorites is the footed planter (number 29). I can see so many uses for this! But everything is beautiful! The straight side new planter caught my eye! Unusual design, love the little feet! That top-selling garden seat! All items are beautiful. 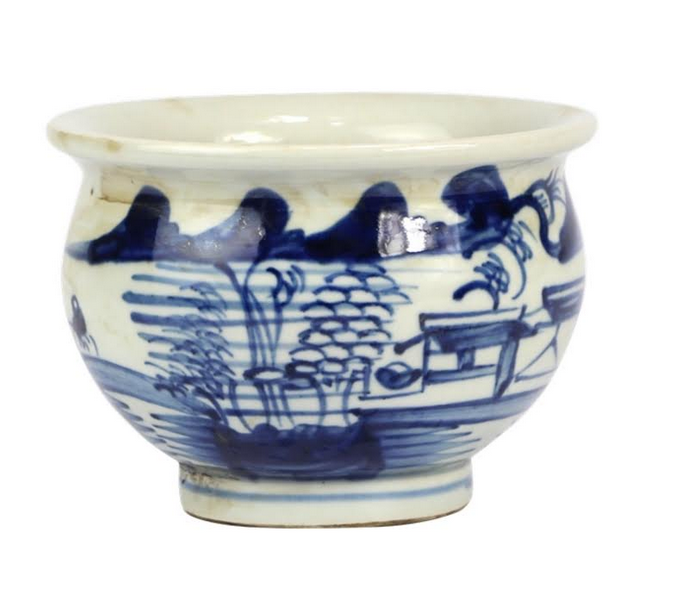 I always love the mini fishbowls but also think the new antiquated mid-sized planters are superb! 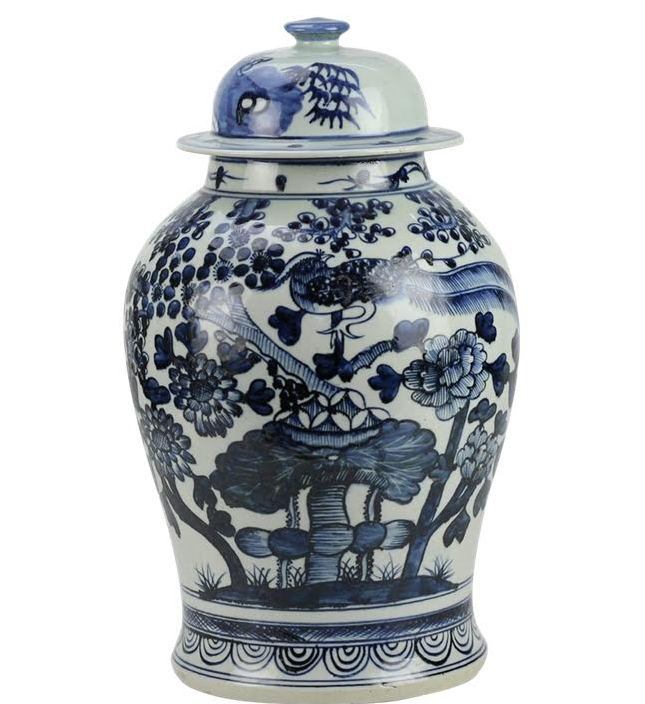 I love the vase that you show as the give away. It would be used weekly to purchase fresh flowers from my grocery. 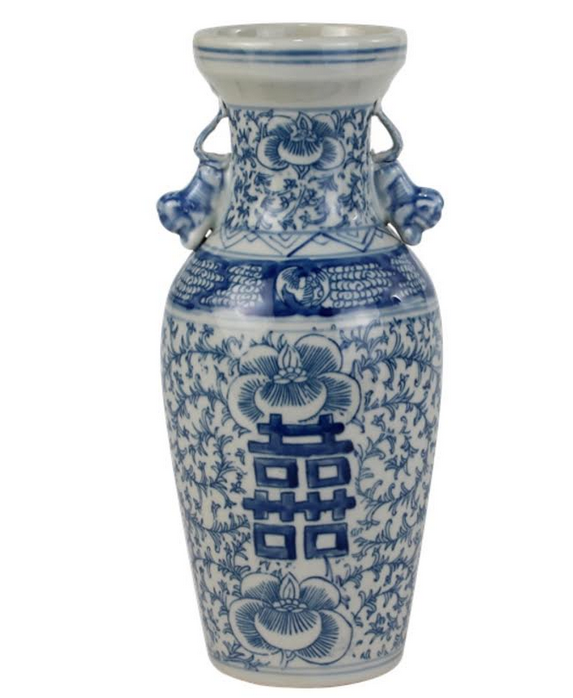 Such a beautiful lovely vase. Your first picture by the fireplace and those lovely packages is stunning. Just fantastic…and I love the new planter! Item 29. Really different (thou not blue) but very striking! And the new garden seats! Wow……. Item # 34 is my choice. Love the all over pattern and the dark blue background. The top selling garden seat is my favorite! It will be on my list for Santa! The pierced scallop planters are gorgeous-would love to put a pretty orchid in one! Love #13 – the planter. So unusual and versatile! The red makes it…. the tree. There are so many beautiful choices, it is hard to pick only a few. I love all the flat top jars and garden seats. 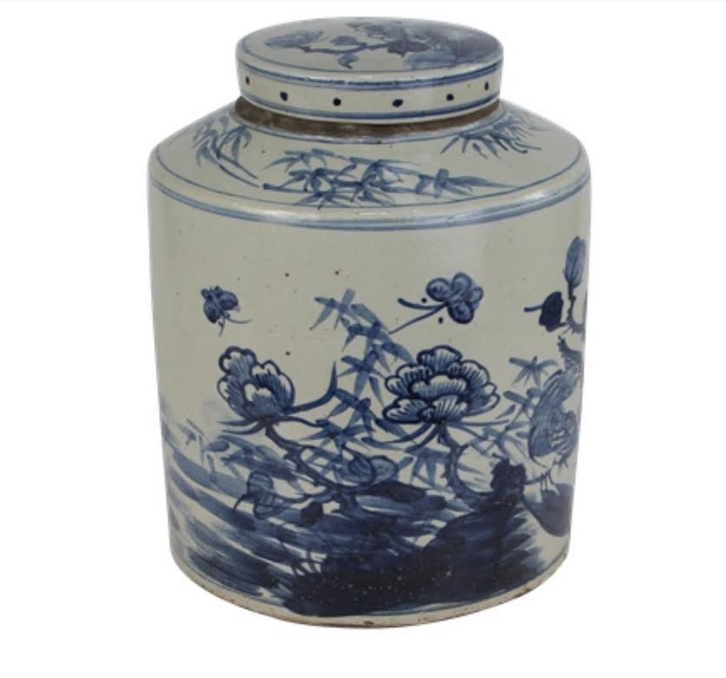 The pheasant jars are so beautiful. Each one would be a great addition to my home. 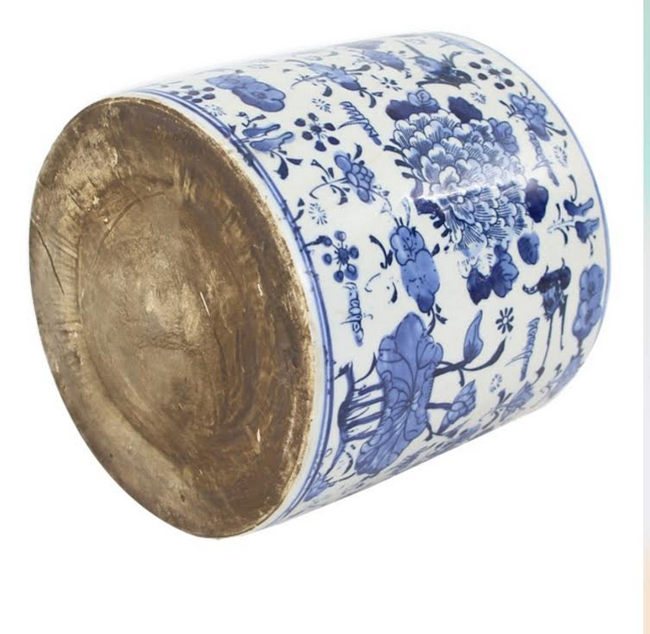 Well, I’m bonkers over the best selling garden seat and my second choice is the trumpet vase! Hope to see more mirrors. #31 fabulous bow. Perfect for my table. Item number 7 is my absolute favorite! It is stunning!! Gorgeous selection Tina, how can you not be in love with item 33!! Thankyou for bringing such beauty into our homes! Outrageous overload of over the top blue and white! I am dizzy with the possibilities, but #12 could find a place in my home, or should I say one of my orchids could easily find a home in it! The elves will have fun packing up the goodies as they fly out the warehouse! 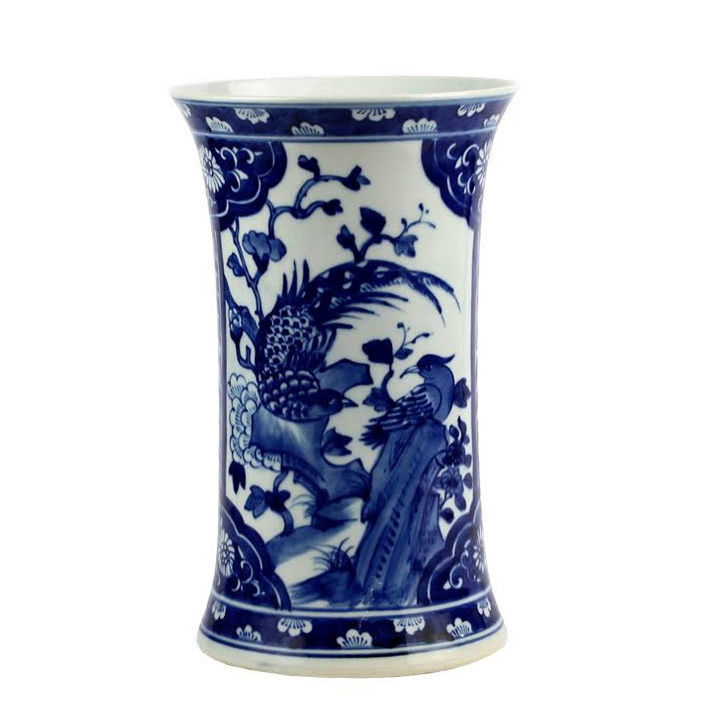 I have been waiting for the small “Ralph” vase to come back in stock. I think it would be perfect for my weekly flowers. But I am in love with the bowls. I own one of your bowls and it is so beautiful and one of my favorite pieces, although my home is filled with things from the Enchanted Home. Thank you for making it possible for someone who lives in the middle of nowhere to have beautiful things for my home. I have never been disappointed, and the thrill of opening a box from the TEH never gets old! I love every single one of the new arrivals! 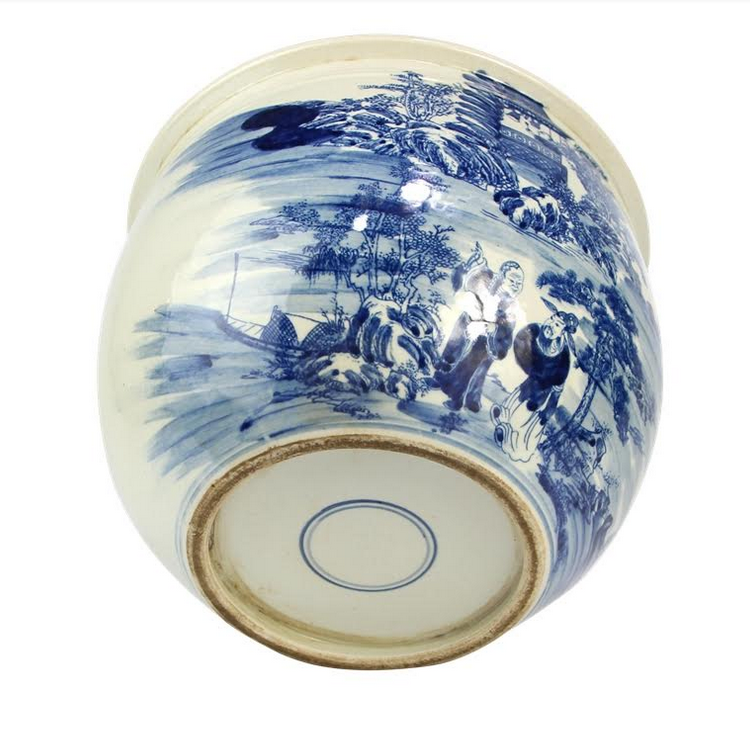 Item 8, the village scene bowl, would be beautiful on my dining room table, so it would be my favorite. My top two numbers 10 and 12! Gorgeous planters for my plants. Always a fave..along with fishbowls. I love the new smaller bowl! What a glorious selection of blue and white! 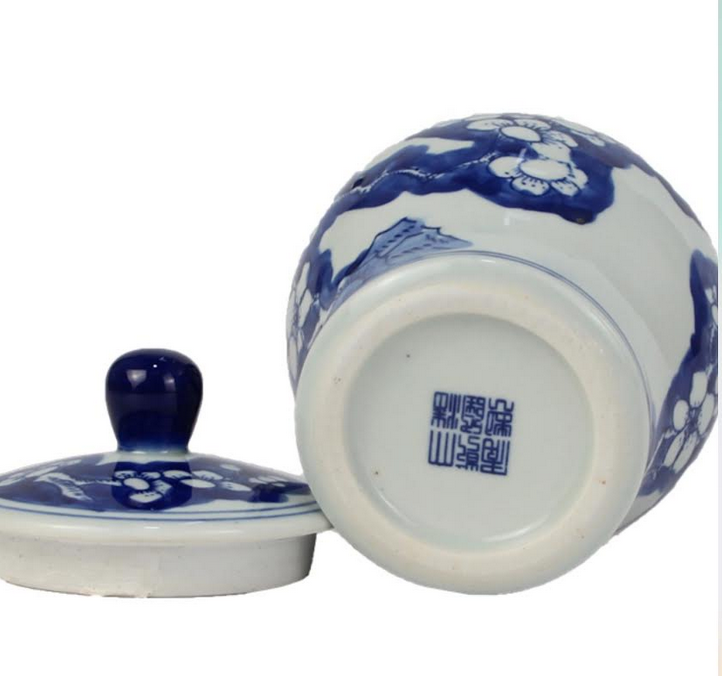 My favorites include the gold finial cache pots (item 13), your new flat top pheasant jars (item 35), and the pencil brush holders which would be great party favors for a ladies luncheon. One of my favorite dining table settings that you have shown us from your own home include a pair of your gold finial cache pots. They are just outstanding. 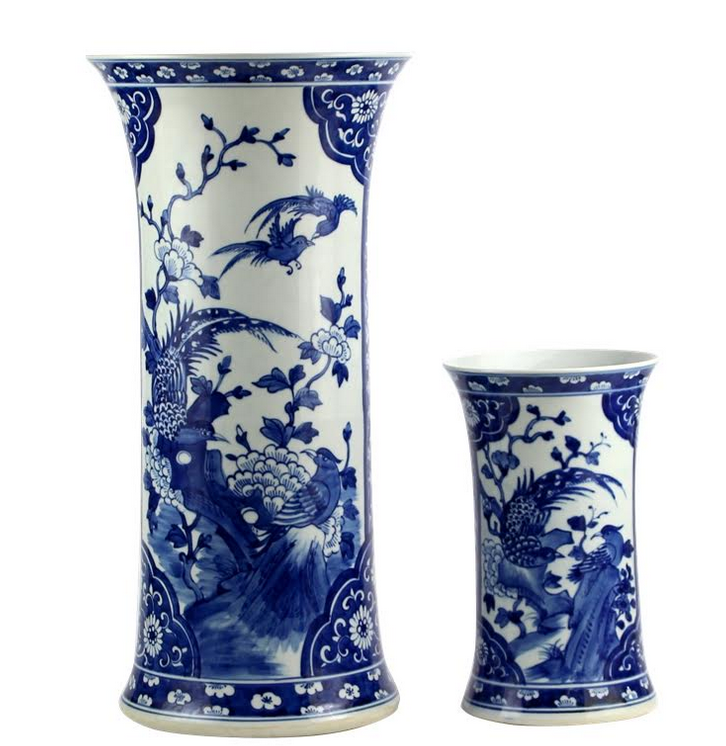 Everything is beautiful, but I love the Ralph Lauren style vases! Definitely going to be getting a pair of #12 the pierced scalloped planters soon. I love them every time I see them! I love the new items. Now all I need to do is quickly decide which ones I must have! Thankfully my favorite is the midsized trumpet vase!! but if I had to pick another (If I cant pick them all!! ) I love number 15, the coloring is so perfect and I love the birds!! again, can I have them all!! Love the fish bowls! Beautiful collection. Love love love the navy cherry blossoms fishbowl! 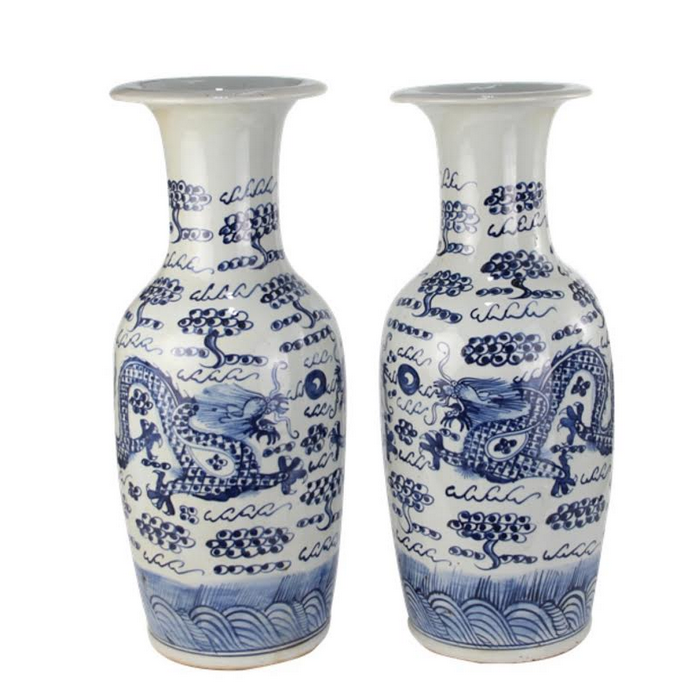 I’ve just added a pair of the beautiful dragon ginger jars to my Christmas list!!! 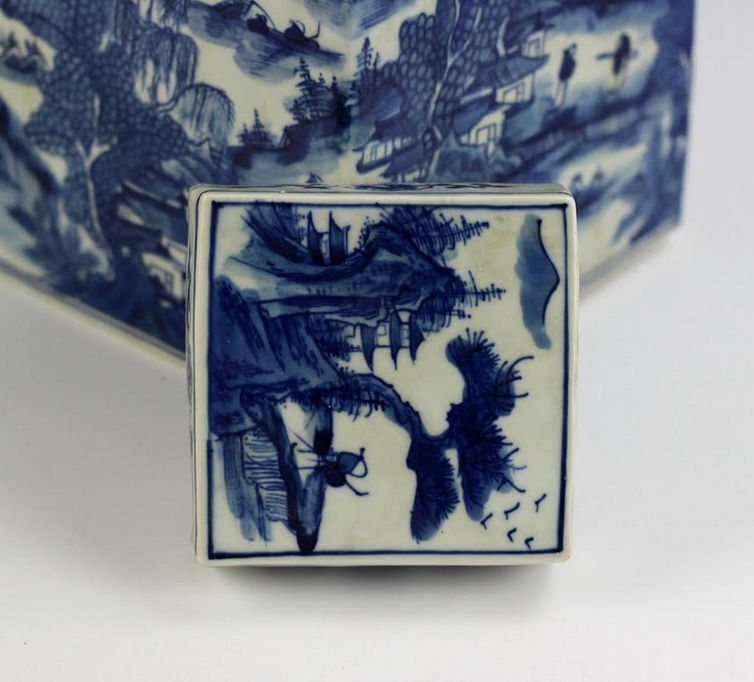 I absolutely agree with your comment “You would think this gets old, nope it just gets better.” Your blue and white porcelain is amazing! So much beauty! Love the footed planter #29. I am blown away by the beauty of each and every piece! It is virtually impossible for me to decide a favorite, but I will reluctantly try! I love #15 the beautiful jars with the left and right facing bird. 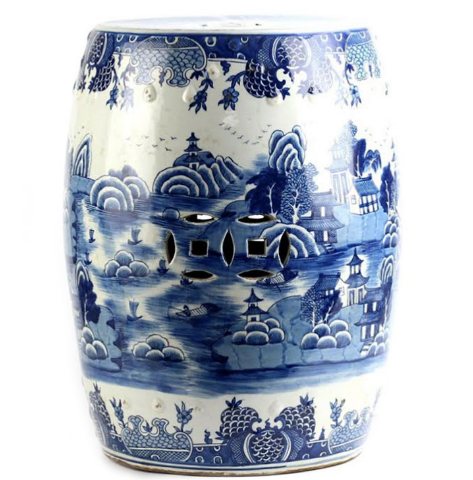 My heart flutters also at the oriental village scene on the garden stool in 24a. I can’t imagine being in the presence of all of this gorgeous blue and white art! I would have to rent a truck and build a wing on the house to display it all! Wowza!!! Love the Pagodas and the new flat tops! 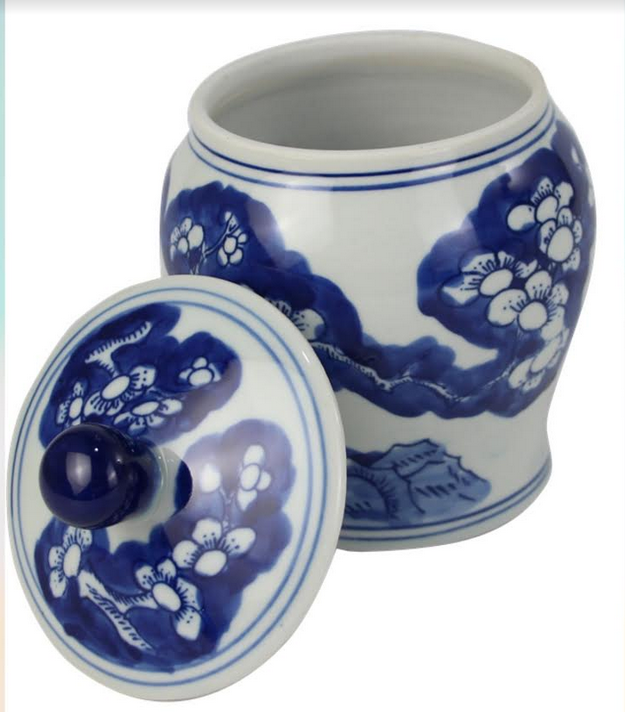 The landscape vase with fruit handles! 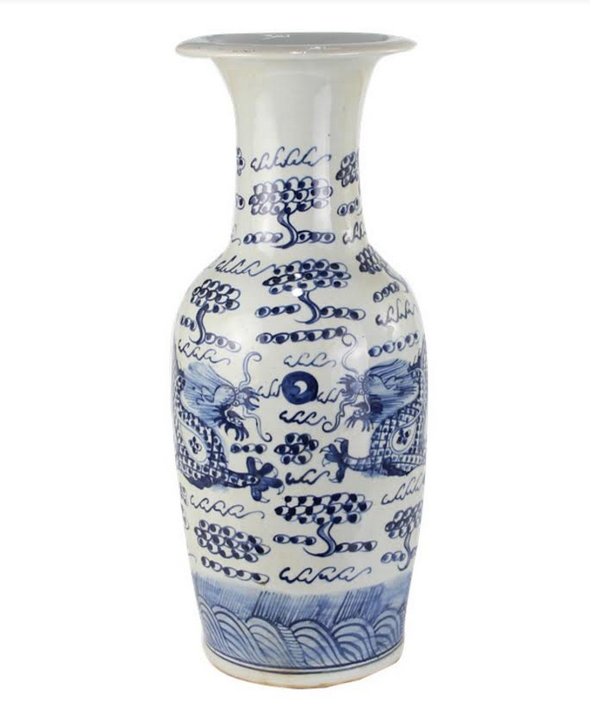 I am wanting/needing a blue and white vase and would be thrilled to win one for the upcoming holidays. Your entries are a bit of sunshine each and every day! Keeping my fingers crossed! Everything is fabulous. Really like the new smaller pieces that are just perfect to tuck in smaller spaces or live amongst larger pieces. I may have a new favorite. #31 – The gorgeous new bowl!!! The detail is exquisite, both inside and out!! Bravo! As always you have a fabulous selection of blue and white. What an abundance of beauty!!! I absolutely love the “top selling” garden seat. Simply gorgeous! 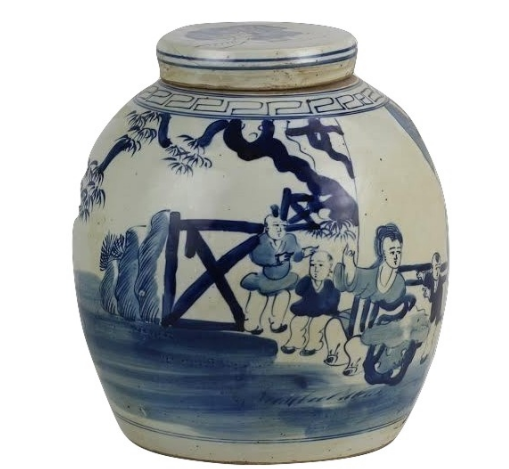 Live the 40a figure jars! All is beautiful! #7 the large garden seat is one of my favorites. #31! I’v been waiting for a smaller bowl. One for fruit/ veggies to set on the counter! I even ordered one that is too large, but no worries, I found a home for it too! I like Item 37. 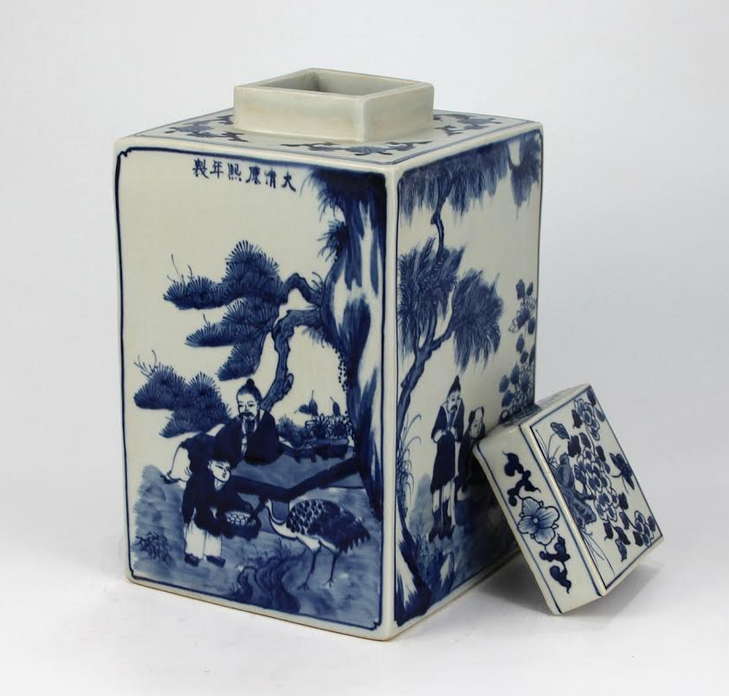 Two of the square vases would look great on my mantelZ! WOW! What an amazing shipment of blue & white. 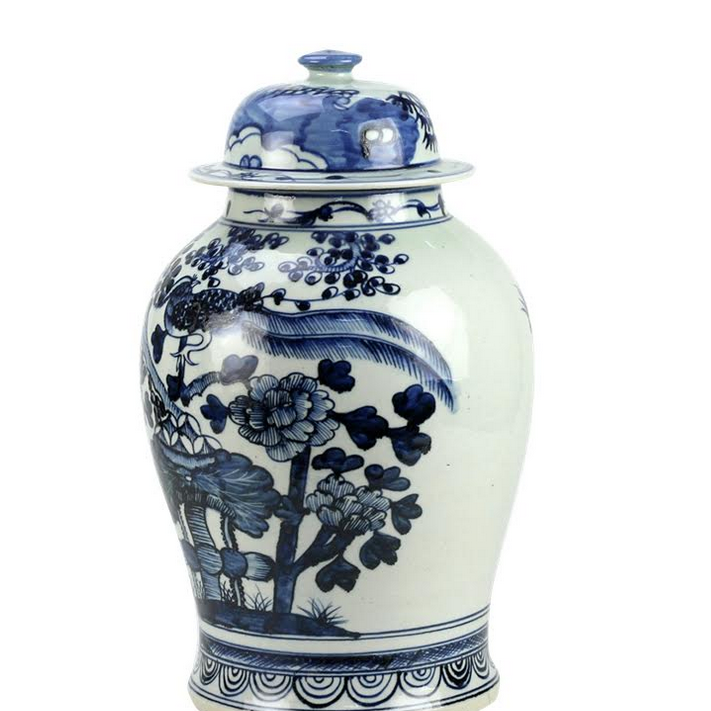 I love the Pagodas, Pheasant Jars and Ralph Vases. Every piece in This arrival is fabulous! This post deserves a second and perhaps a third read! So much to take in! I love the addition of the orchid vases. One of my favorites is the straight sided planter with feet and an antiqued finish. I love anything with a little foot on the bottom and this is a winner! Item 35, cool and unusual. 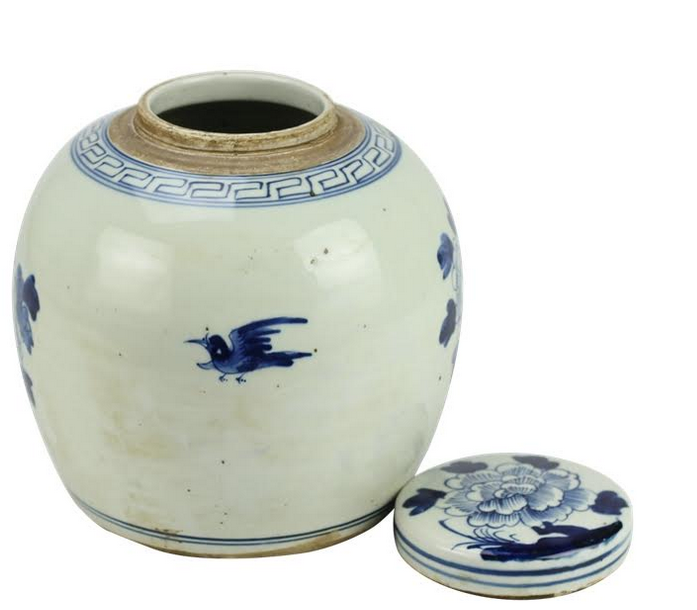 Item 35…I love the shape of this jar and the top! Thanks! Be still my heart. Garden seats and vases especially the Ralph and trumpet vases. Hope someone in my family is paying attention. So many favorites…there is simply no way to narrow down the field. I particularly love the new mid size straight side new planter with the darling feet-a real standout. 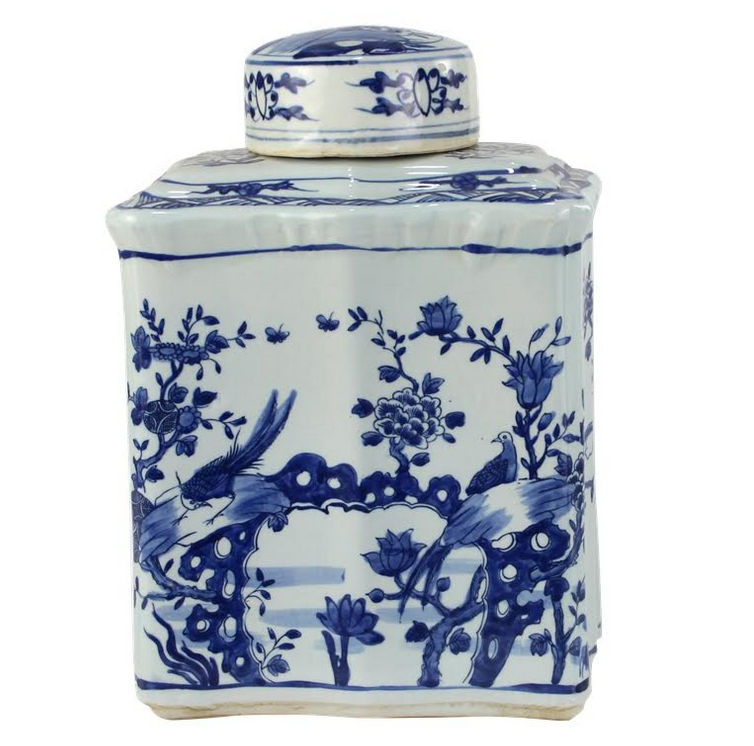 I also adored the mini ginger jar and especially the new pair of ginger jars with the right and left pheasants. They are stunning! What fun to unpack this mega container for the holidays! Love, love the new bowl! 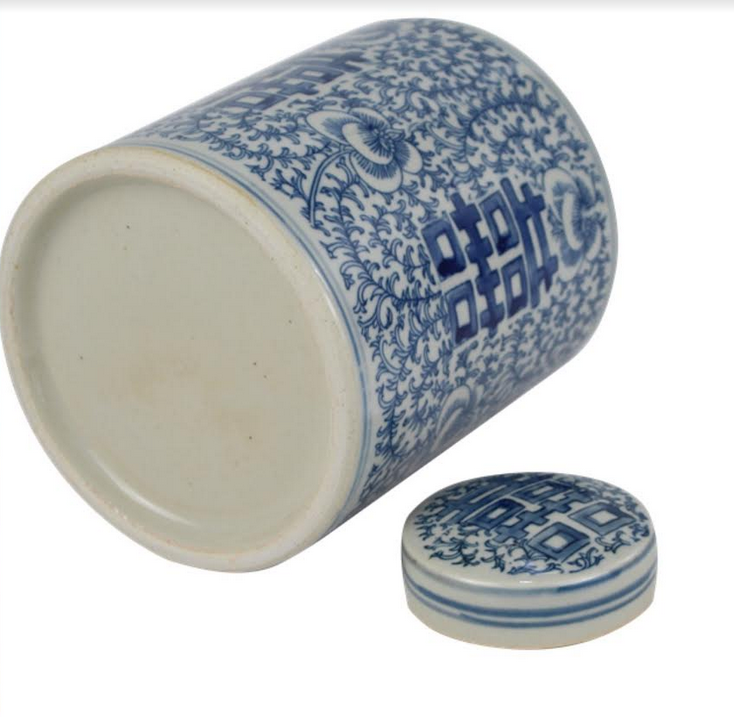 Also, the new small canister container. Too much beauty to pick one! 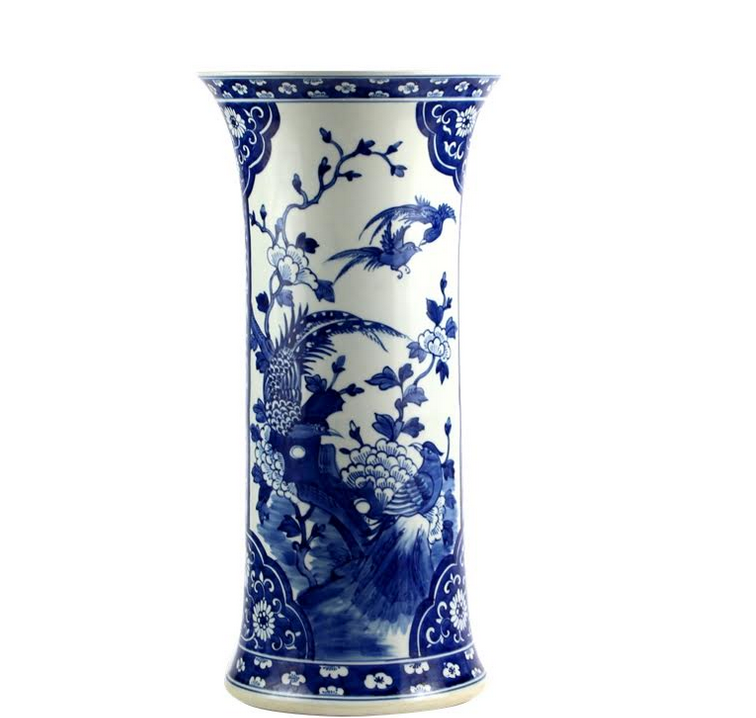 The give away vase is gorgeous. One can never have to much Blue & White! Thank you for sharing your passion with us. I love 24b garden stool, love the unusual shape. 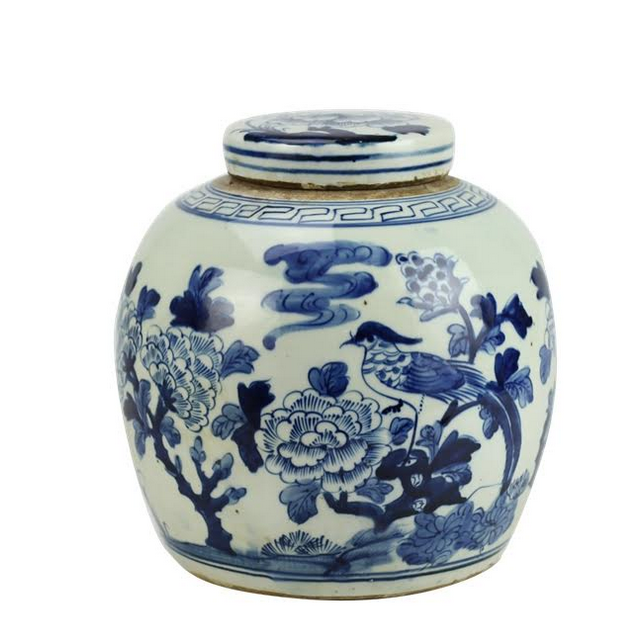 I love #35…the pheasant jar with a different shape. Great container Tina!! Entering! The detail on all of these new pieces is just GORGEOUS! But in picking my favorite, I would say ITEM 7- the garden seat. The painted details and floral design are just beautiful! And the intricate cut-out in the middle, just adds to it’s one-of-a-kind beauty! Hi Tina, well, you posed a very tough question. I love all your items so I can’t pick just one. I guess that’s a good thing. Hope you have a wonderful Thanksgiving. Absolutely love the pagodas and look forward to using them at Christmas! I love it all but especially #39 with the fruit handles! What an amazing assortment and you are the best in blue and white I’ve seen💙Merry Christmas to you with blessings! Pagodas! Trying to find a good spot for a pair. I love Item #40 ! The dark blue stands out from all the blues I already own. So much to love here! I think the Ralph vase would be wonderful with or without flowers, but the large fishbowls are also great. Like I said, so much to love! Wow, I’m running around my house with the measuring tape! #34 needs to be in my sunroom, and #19 needs to be on my kitchen counter! So many beautiful pieces! I think the pagoda is amazing. I’d like to convert it for my tree topper. Wow! 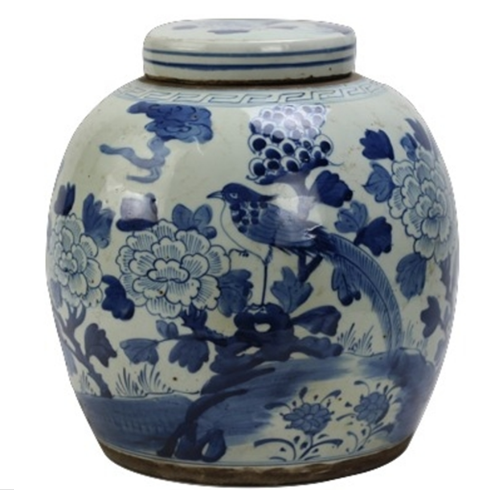 The large flat top pheasant jar is my favorite, if I have to choose just one. The bowl are always favorites as are the fish bowls. Lots of pretty things. One of your best offerings! 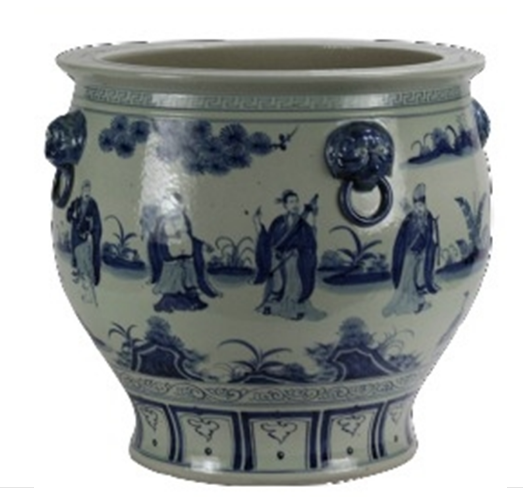 I love so many of the items…the cherry blossom mid-size planter, and planter #2, but especially the #8 village bowl (spectacular) and the new dragon vases, #14. Love! Lots of beautiful items here! But one of my favorites is the cherry blossom planter. Love the rectangle planters for orchids! 17A is my favorite….I don’t have much blue and white and it would be a great addition to a collection. On a side note, I must say how much I love the fact that you include a picture of your dog in each post. Your love of Teddy speaks volumes about the depth of your soul. 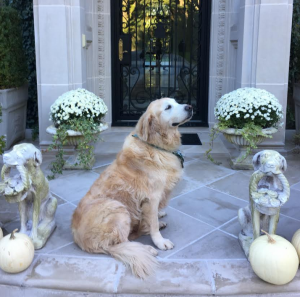 There’s a special place in heaven for those who love their pets. 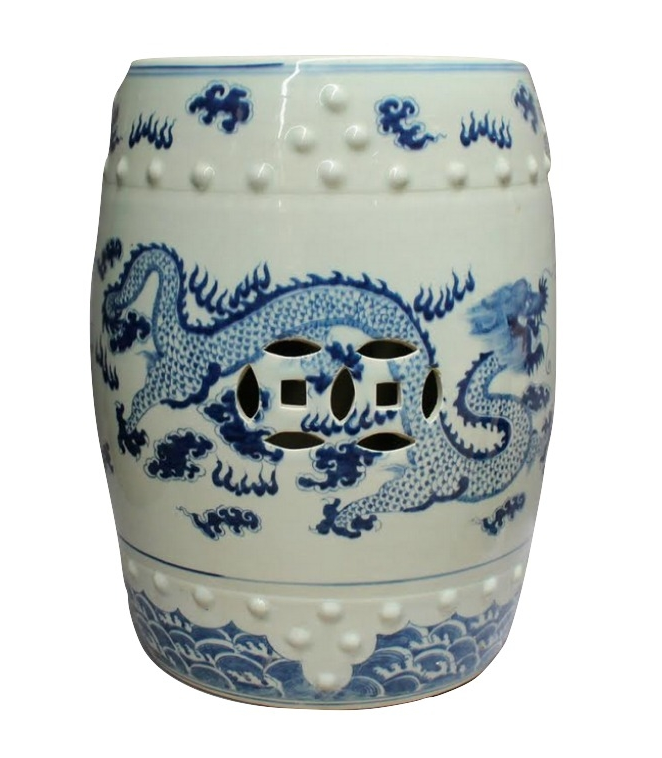 I love the dragon ginger jar with the foo dog lid! 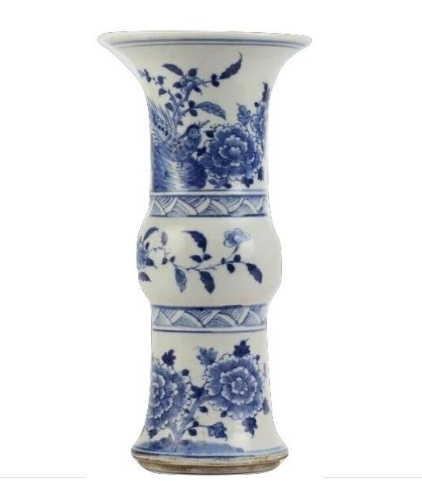 I have the Ralph vase and it is just gorgeous! Great job Tina! LOVE IT ALL. How will I ever decide? Everything is lovely….hard to choose a favorite! Since I am an artist, my thoughts ran to my studio when you mentioned the pencil brush holder (#30). But, I have to say, I love #29, the mid size planter, as a brush holder…actually two would be perfect. Then I carry the blue and white theme into my studio and I can enjoy while working! Every room should have beautiful and contain loved objects. Thank you for giving us the opportunity to purchase these special items! Items 40 (A&B) ARE fabulous! They are unusual flat tops and I could use a slew of them! I love the number 31 bowl. May put Christmas cards in it. Love, love, love the mid size pagoda! Love,the mid size pagoda, it can be used in so many ways! All of the items are gorgeous! I love the Village Scene Bowl! I can just see it on the center of my table in the sunroom! I also love the give-away vase! Beautiful! I’m in love with ITEM 19 the trellis bowl and I absolutely love the Garden Seats. 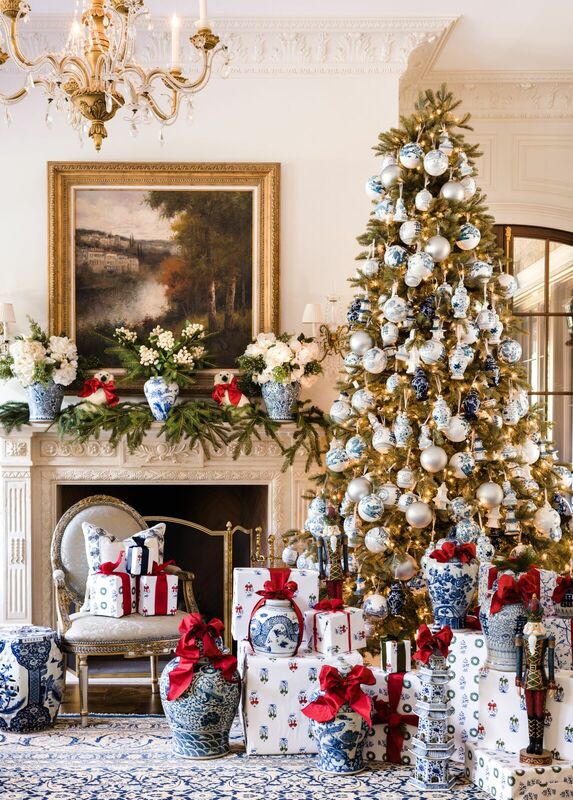 I’m so in love with all things lovely and Blue and White! Two new favorites are the flat top jars and new vases!!!! Lovely! Always looking to expand my collection. A true member of the ‘blue and white club’. Think I am needing the garden seats this time. Can use them in or outside. Can hardly wait for my ornament order to arrive…doing a blue and white tree this year! Love the Staffordshire dog ornaments. My favorite item and what I “need” the most is a pair of the mid-size pagodas, item #6. Loving everything but faves are the Ralph vases!! 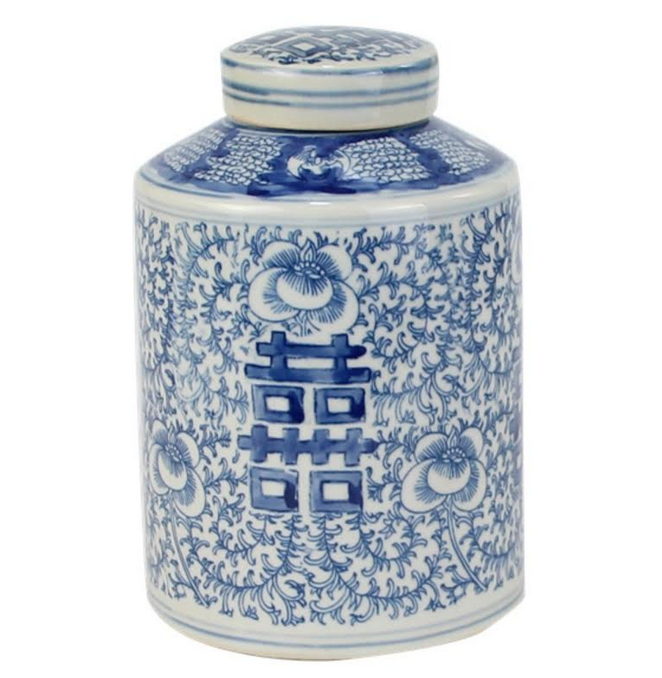 The ginger jars with a foo dog on top are beyond beautiful. They are show stoppers!! Love #29 the footed planter. Everything is just wonderful as always. I am loving the #19 bowl. I love the artwork on it. I like so many it is hard to choose. I love it all, especially the garden seats!! I LOVE, LOVE, LOVE the pagoda! Can’t wait to afford a pair! Saving my pennies! I love #18 the “tiny covered jars” so many uses! Love the village scene garden seat!! 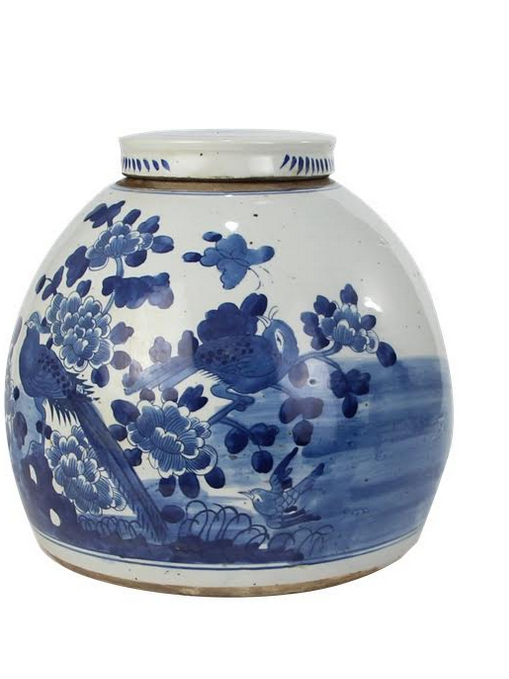 I love the flat topped pheasant jar. Such a pretty shape. 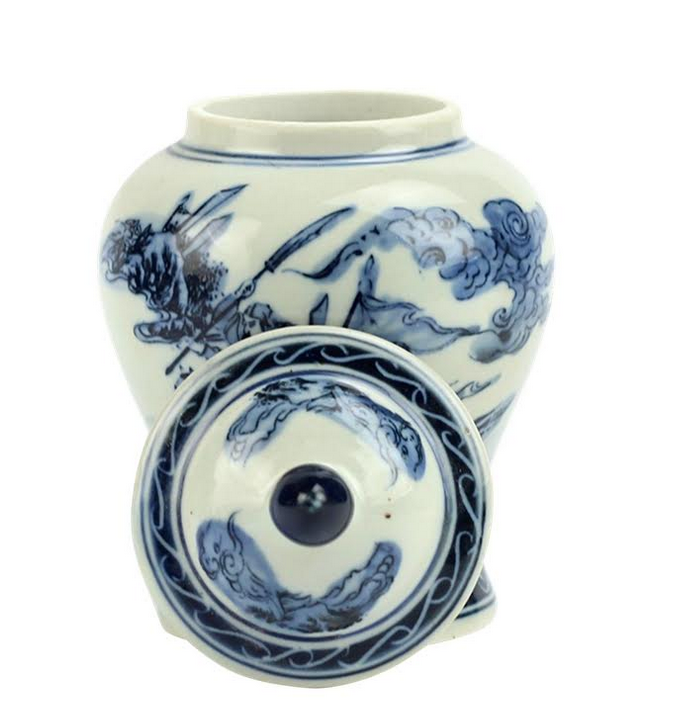 I love the new dragon vases! I think they’ll be a great addition to my collection! Oh my goodness, Tina!! You outdid yourself with this selection. I want so many things. 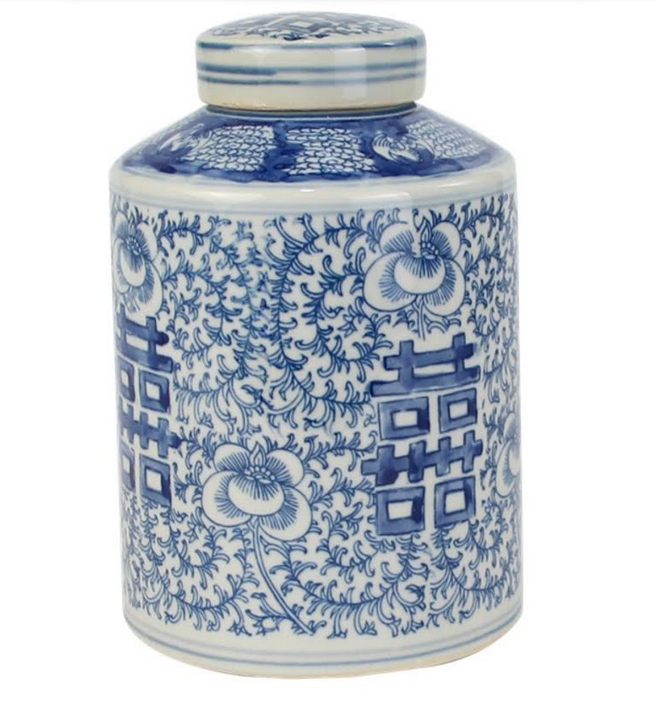 At this point, I’m thinking my favorite is the dragon ginger jar. So beautiful! Item 7 garden seat is just stunning! Love it! Such a variety! My favorite is the dragon design garden seat. The village scene bowl is wonderful and so versatile! Almost impossible to pick a favorite as they are all so beautiful, classic and timeless. That said, I love the flat-top pheasant jar! So beautiful. Got the large village bowl for myself in the last shipment and I must say I was overwhelmed with it’s size and beauty. Eye spy a couple more items from hubby for Christmas wink…. wink. Your staff was a joy to work with! Keep them coming!!! Although I am in love with all of the items, my favorite is the new garden seat with the painted dots! 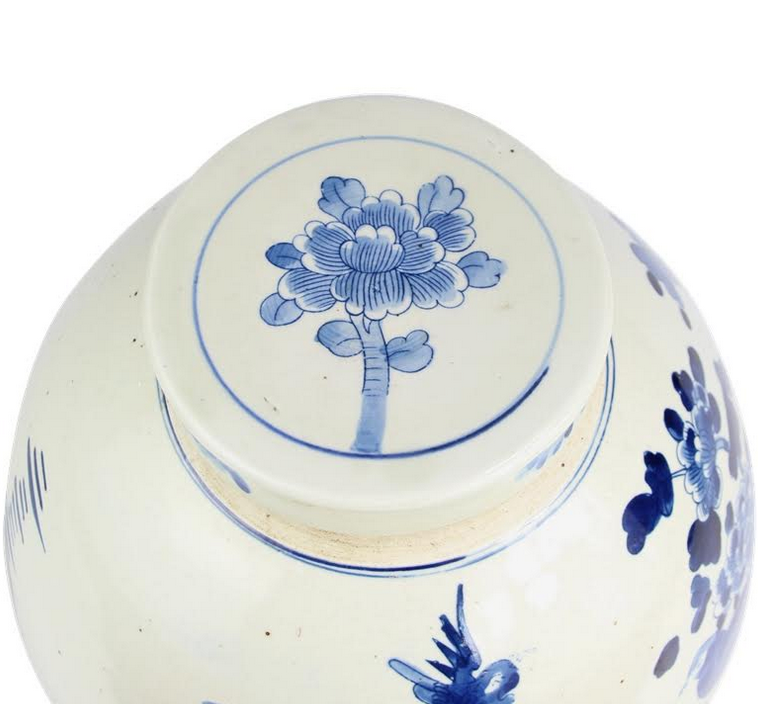 What a lovely, unusual design and I love the top of it with the floral design! I want one for my back porch. I am changing the cushions from green to navy blue out there and your new garden seat would be the perfect addition! I love the vase giveaway! 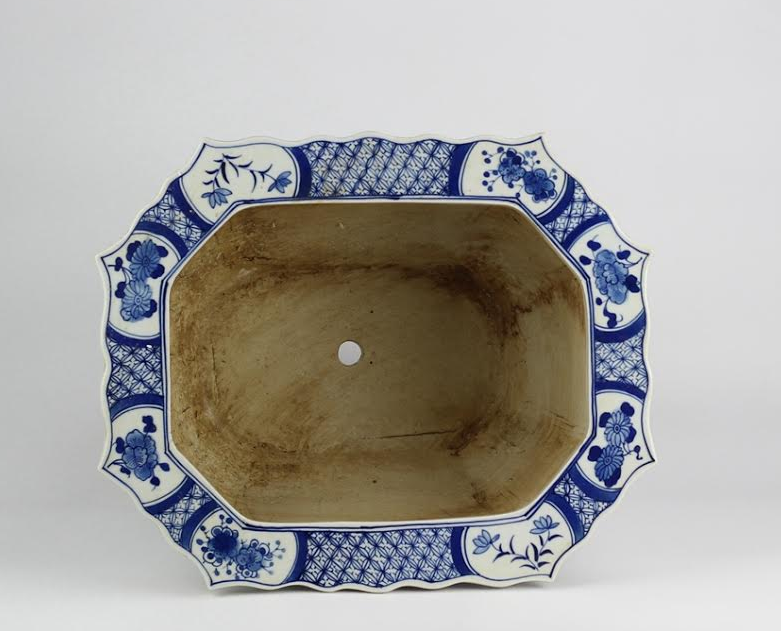 The skinny shape is so different and would look wonderful filled with hydrangeas on my table. 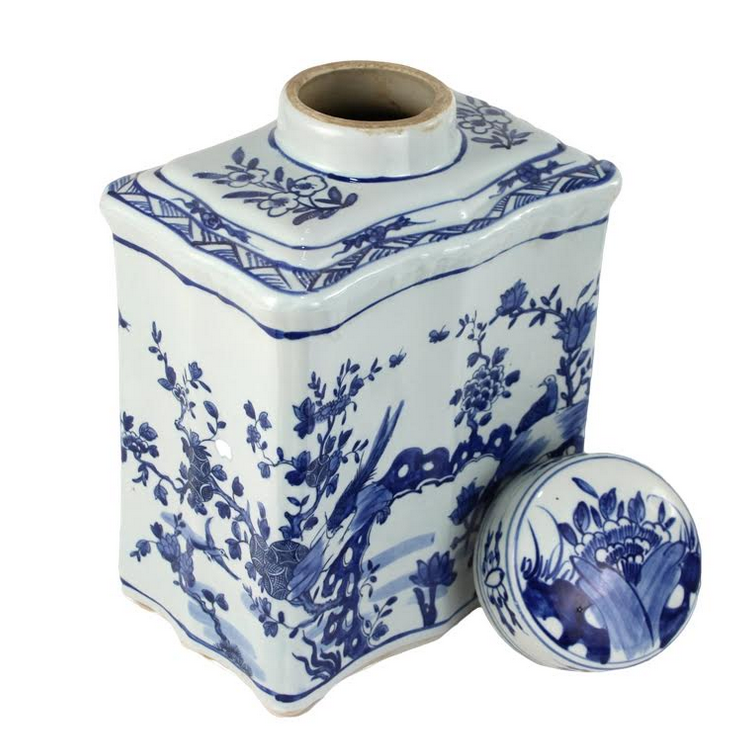 It would be perfect in any room in my house as I am changing my decor to gray walls with blue and white accents. I have already purchased many of your items for my new look! My new Christmas look is going to be a skinny white birch tree with lots of your blue and white ornaments on it! Can’t wait to see it all lit up with them! Top 3: the wonderful mid sized pagoda # 6! Fabulous! Number #13, the cache pot a close second. 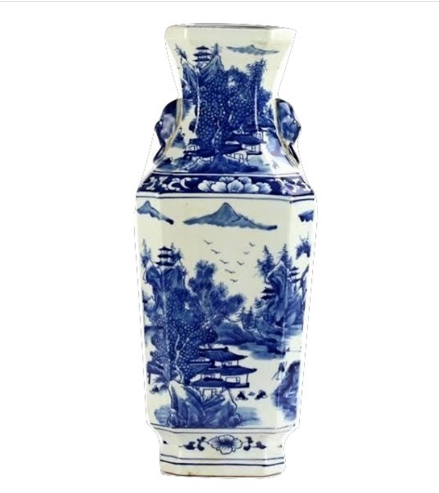 And this vase! #28 Love the shape of it! While I like everything offered, I love the mid-sized pagoda the best. Love the gatden seats. So many uses inside and out. Beautiful pieces. I really like 32A, the mid sized planter. I already own one but love it so much I’m toying with ordering another. 🙂 I also really like any of the flat topped jars. Love #38! Just placed my preorder! 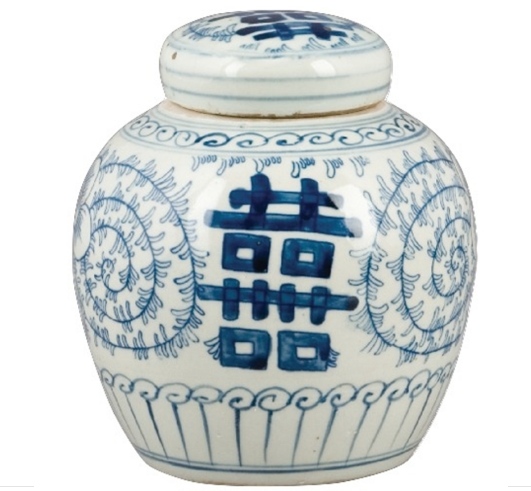 All of your blue and white ginger jars, vases bowls etc are absolutely beautiful! All so pretty! What a wonderful assortment this time! I like the hexagon fishbowl but there are so many others too I adore! Happy Thanksgiving! Love Item #6! Just ordered a pair! 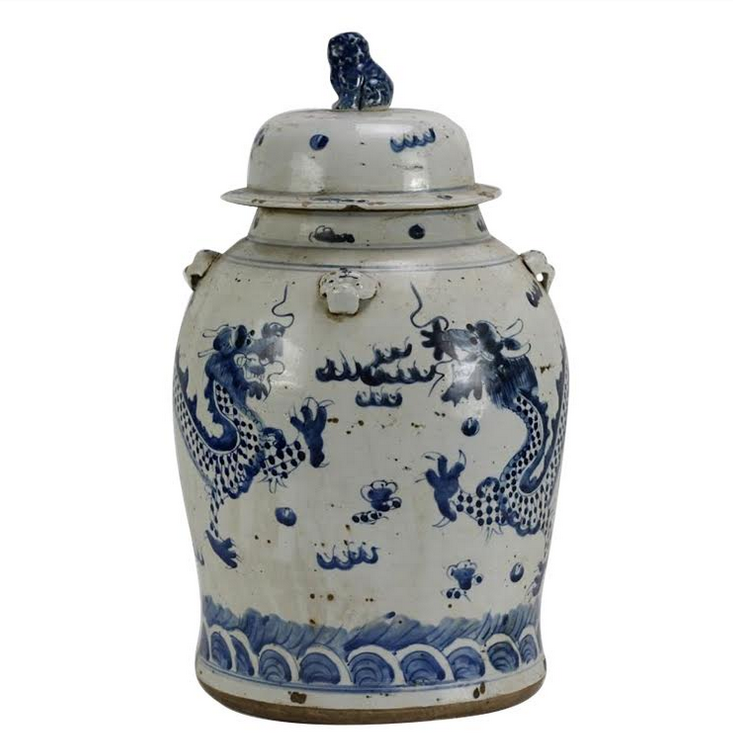 The dragon jar and flat top jars are absolutely my fav! But there’s just too many to make a single choice!! They’re all gorgeous!!!! Gorgeous! I love the new items! Oh I love the flat top pheasant jar! The shape adds so much to it’s beauty. I love the simplicity of the opposite side. It’s fabulous no matter where you place it!! Oh my! Love them all! My fave would be a pair of Item 29. So gorgeous! I love the new antiqued pheasant bowl. It would be a beautiful Christmas centerpiece on the kitchen island! 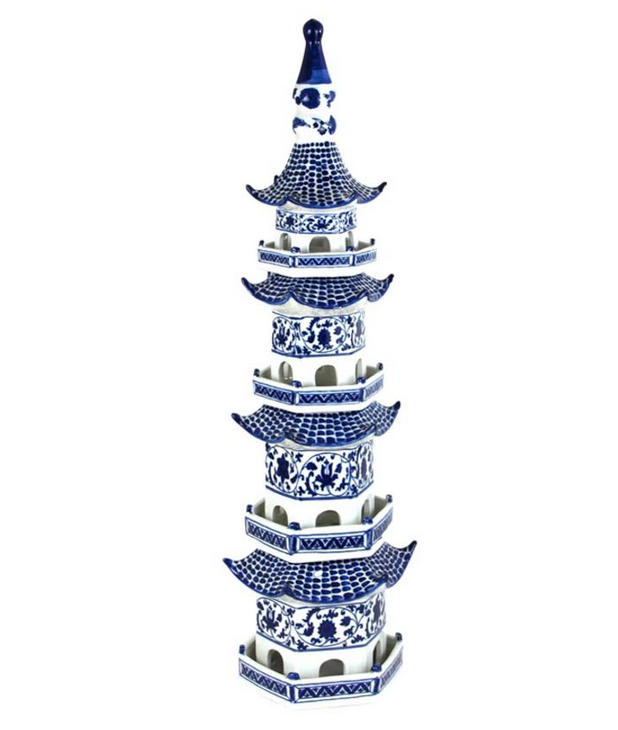 Hard to pick….The Pagoda is my favorite! 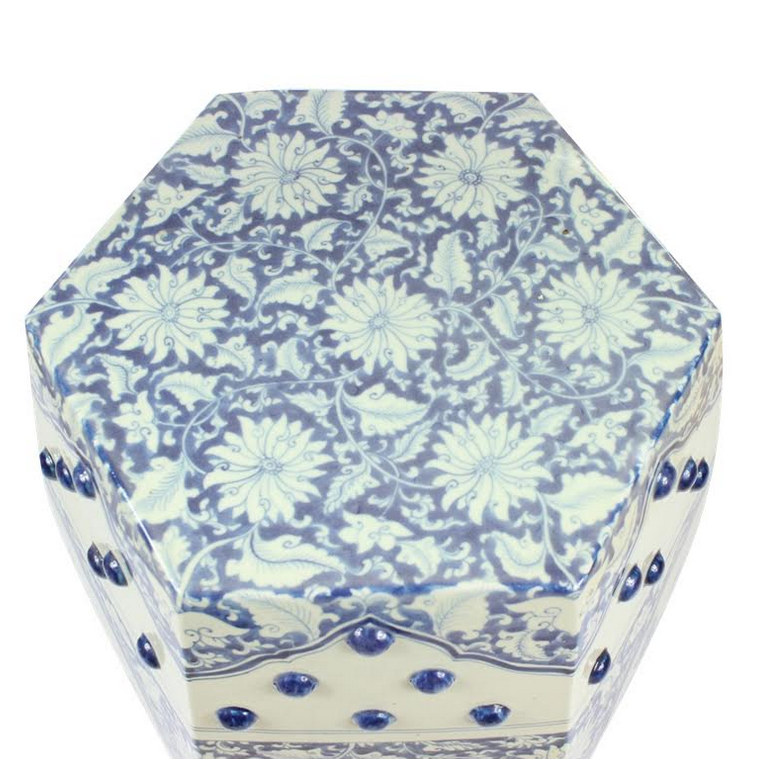 The garden stool is so fabulous , along with all the other pieces but I particularly love the garden stool! My favorite piece IS the trumpet ve. 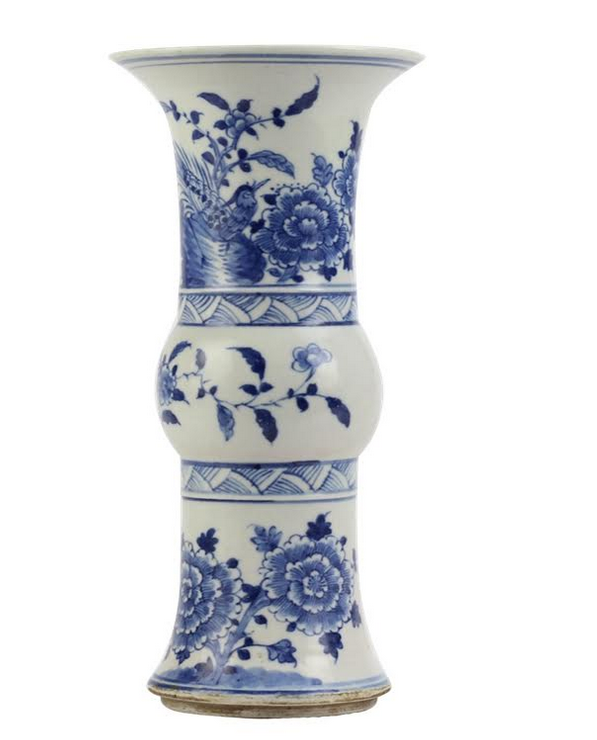 I wold dearly love to be chosen to receive this vase! 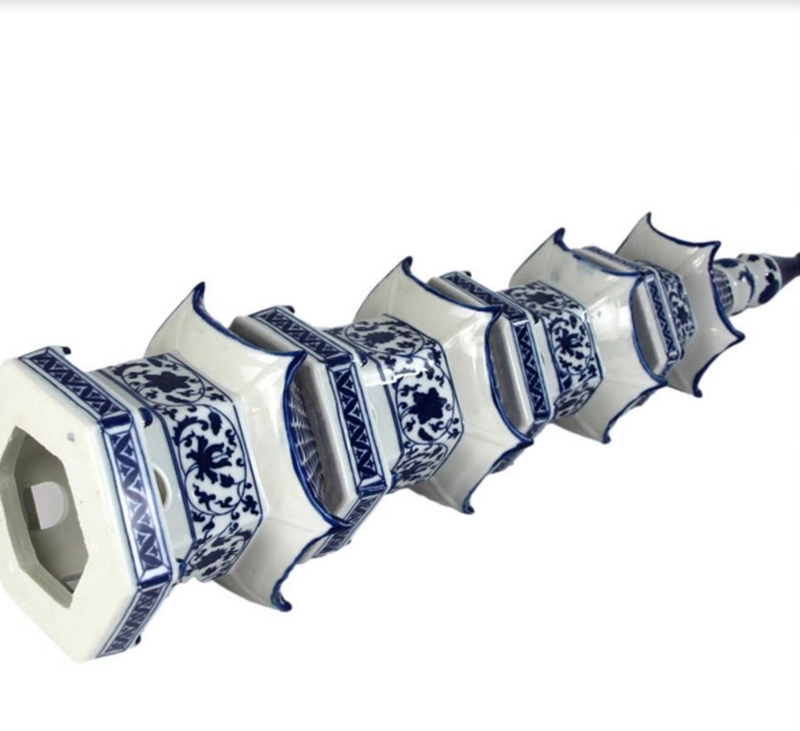 My favorite piece IS the trumpet vase. 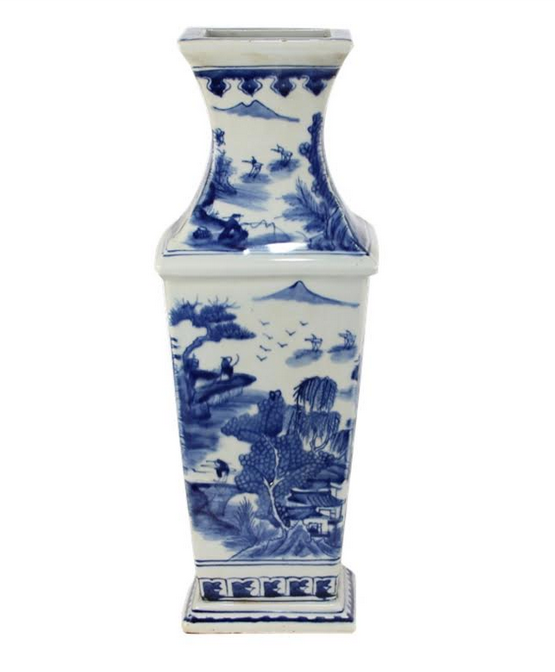 I wold dearly love to be chosen to receive this vase! No. 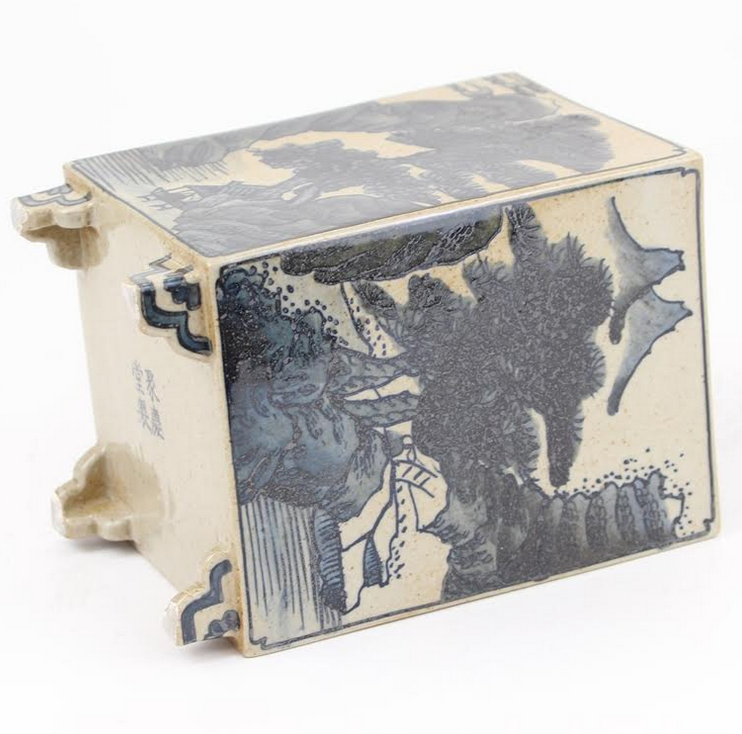 36 hexagon planter is unusual and so lovely! I LOVE your best selling garden seat (#7) I’ve admired it on your website but it’s usually sold out. It’s going to be on my Christmas wish list! It’s the prettiest one I’ve ever seen!! Everything is fabulous. 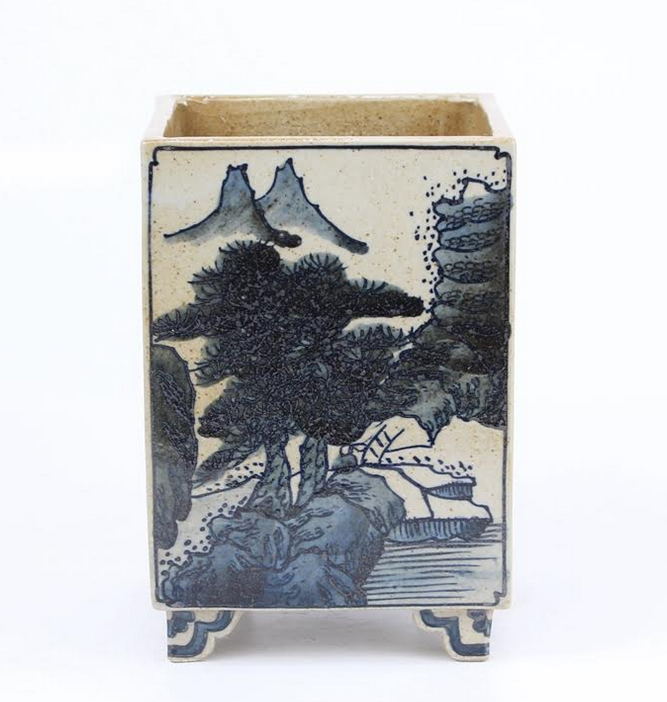 Especially love the pagodas and the new straight planter #29 – so beautiful! 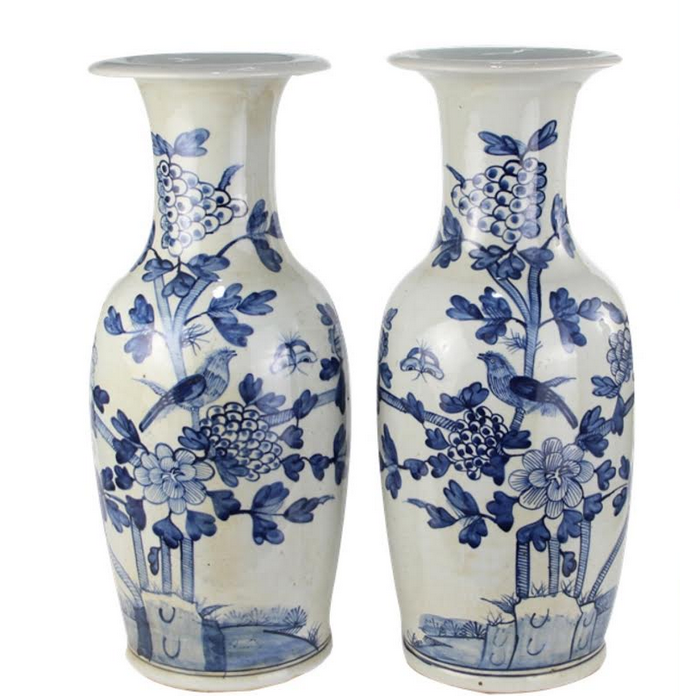 All the pieces are beautiful, but my most favorite are the vases #38 and #39! Love them all- what a great collection!! 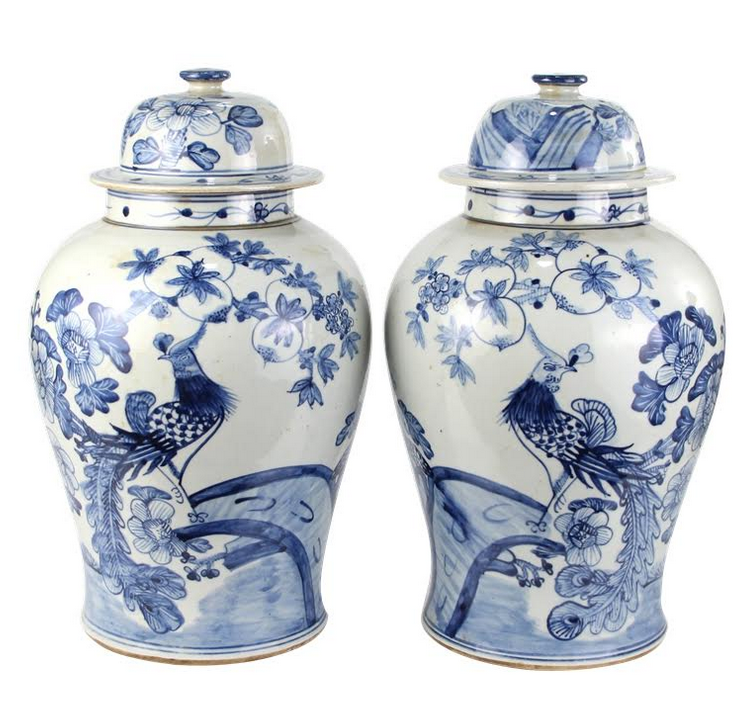 One of my favorites is the pair of pheasant jars, #25. 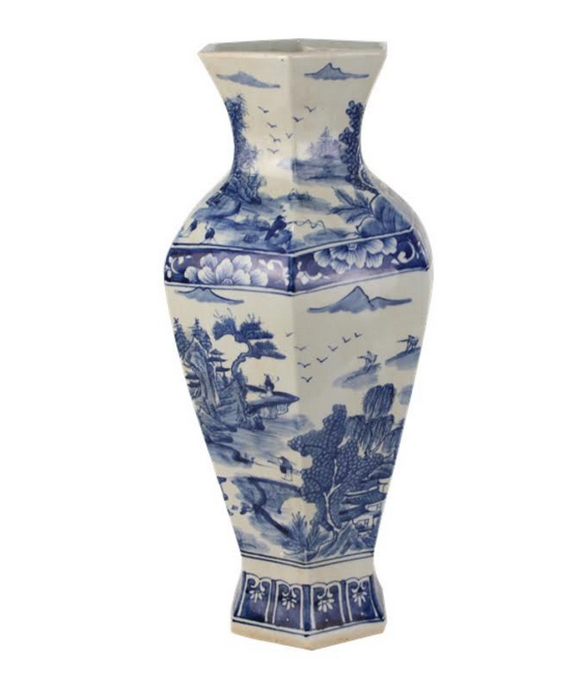 I really like the vase give-away as well, and it would be a perfect addition to my mantel. So many beautiful items. I could chose so many of them. My favorite is item 35! I love the shape and design — it’s so unique! Fabulous items all around! I especially love the garden seats! With all these beautiful pieces, it’s so hard to pick a favorite! Santa, I’d like one (or two) of each please. If they won’t all fit down my chimney, I’d say #25 would look amazing in my dining room. I don’t have a favorite. I love them all. I would like to win so this could be the first of a beautiful collection ! Picking a favorite among these beauties is nearly impossible; each and every piece is stunning. However, I have an affinity for garden seats, and 24A the round Village scene is tops for me! Omgosh, how can I pick one…ok, I will pick three! 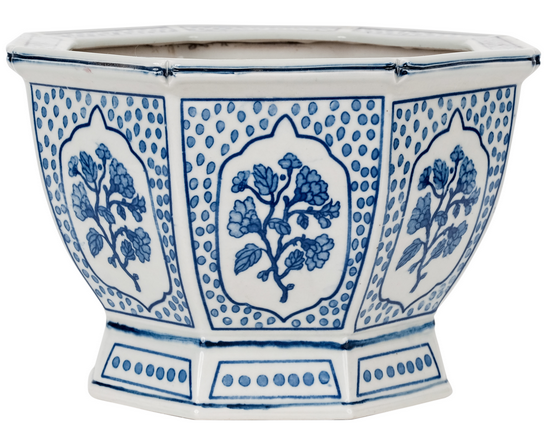 The new pheasant bowl is wonderful, new scalloped tea jars & mid sized pagoda. Really though love it all!! Love 9b! They are beautiful! I love Item 34, the navy cherry blossom fishbowl. A white amaryllis would look beautiful in it. Here’s to a blue & white Christmas season! Can just see 40B on my mantle surrounded by greenery. Gosh it’s so hard to choose! 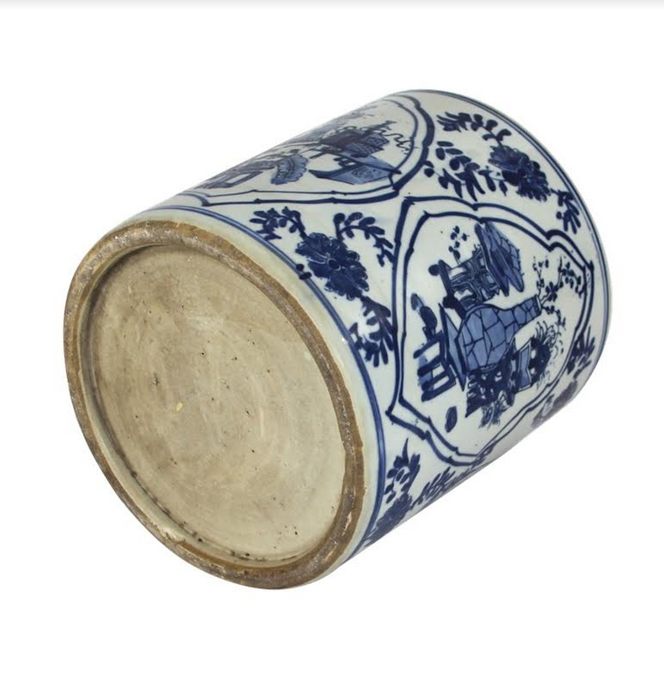 i love the classic large scaled jars-item 25. You can do pretty much anything with these beauties! 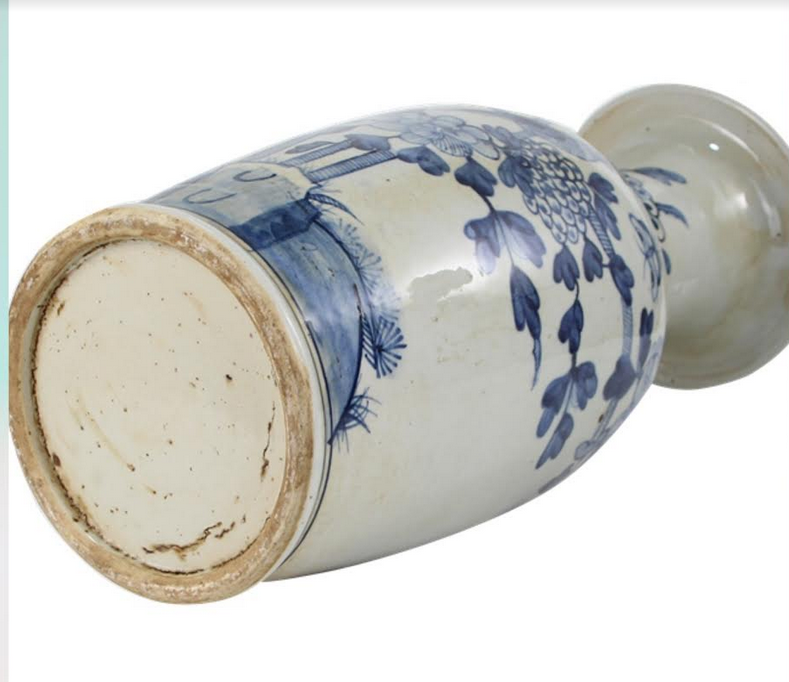 The paneled vase is exquisite and just different enough to add interest to the piece. Love it! All the new pieces are beautiful!! I already have so much, but I see a few with my name on them. I’m waiting for the smaller bowls that will be coming also. 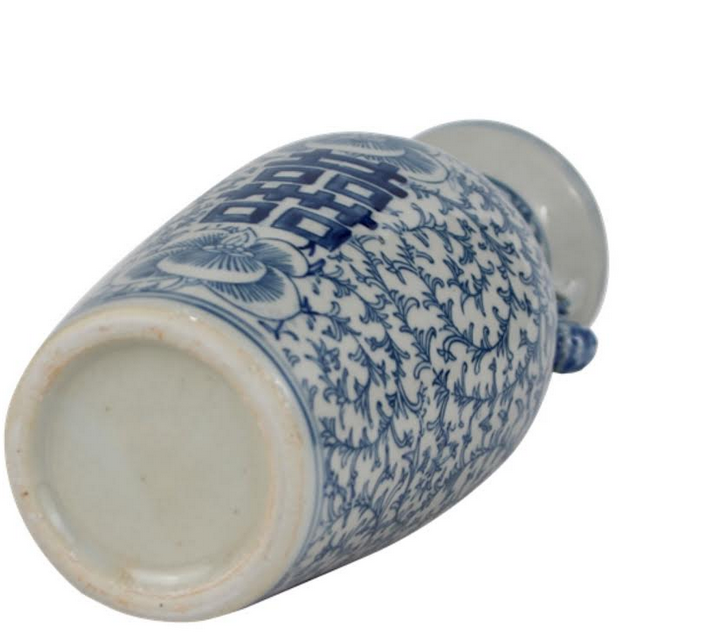 The trumpet vase is great little piece to fit in spaces. I own two. I love item 40B. The design and square shape make it yummy!! I love, love, love the trumpet vase! 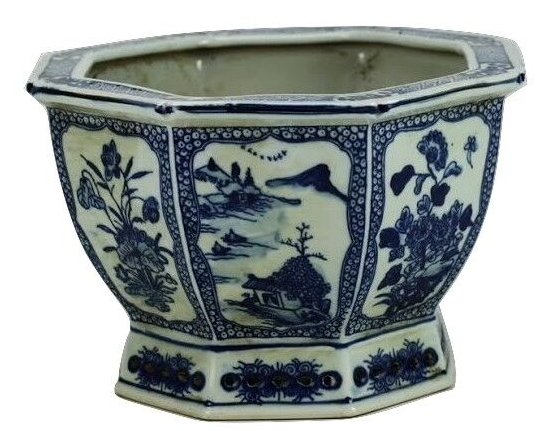 But, the item I am ordering now is the planter. 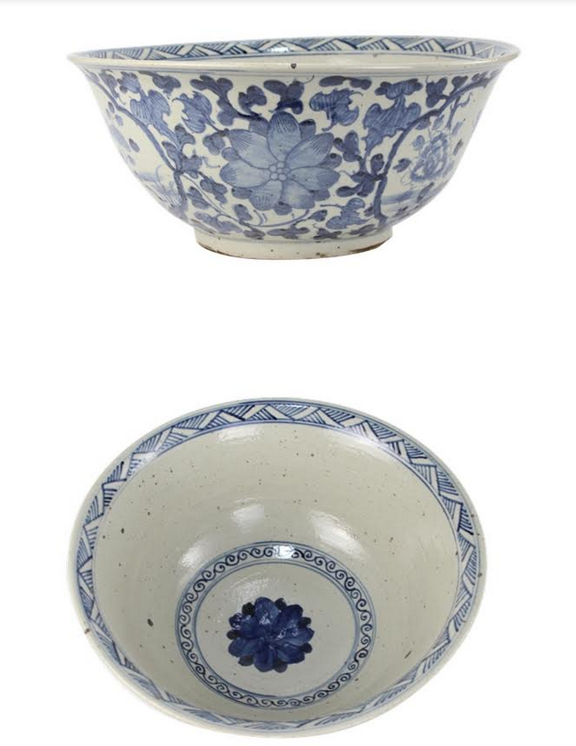 My two favorites are the Village Scene Bowl and the All Over Floral mid size planter. They are just beautiful! Every piece is so beautiful. I always love the garden seats! 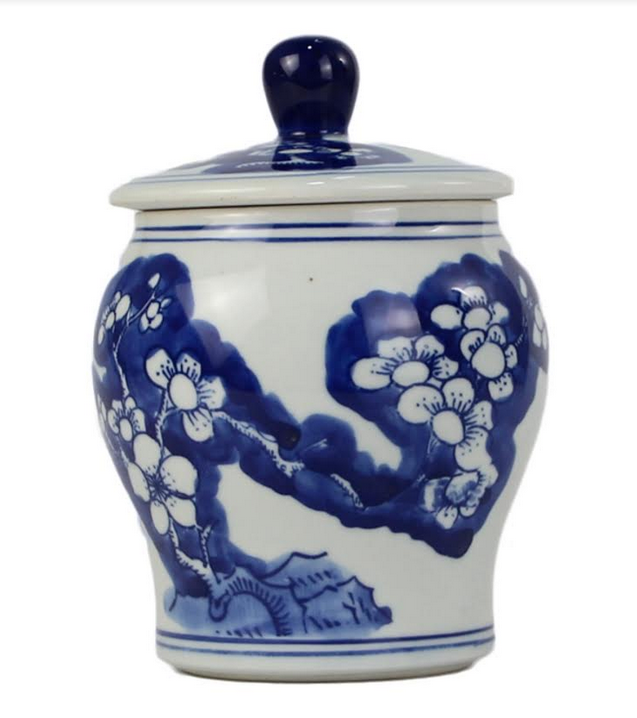 I have been searching for smaller lidded jars and those that you are bringing in are perfect, especially # 17A & #29. 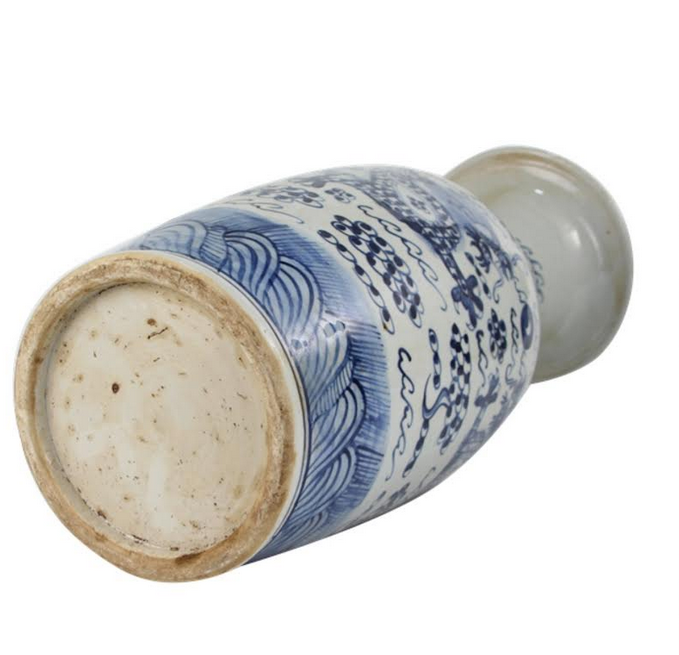 Loving the more ‘antique’-finished pieces you are bringing in – they are perfect for a more relaxed space! An amazing collection. Must say I like #17, the smaller versions. Will mix wonderfully with the “talks”. Everything is so beautiful and unique! It is really hard to choose only one 😉 But my winters are #24A and #40A. Just love so many pieces, but item # 7, the large garden seat is my absolute favorite! Hope I can still order today as I did not read the email until last night. I love #25! And of course, the vase! So many beautiful pieces I can’t decide which one I like best! Number 13! The gold cache pots. Asking for this pair for Christmas. 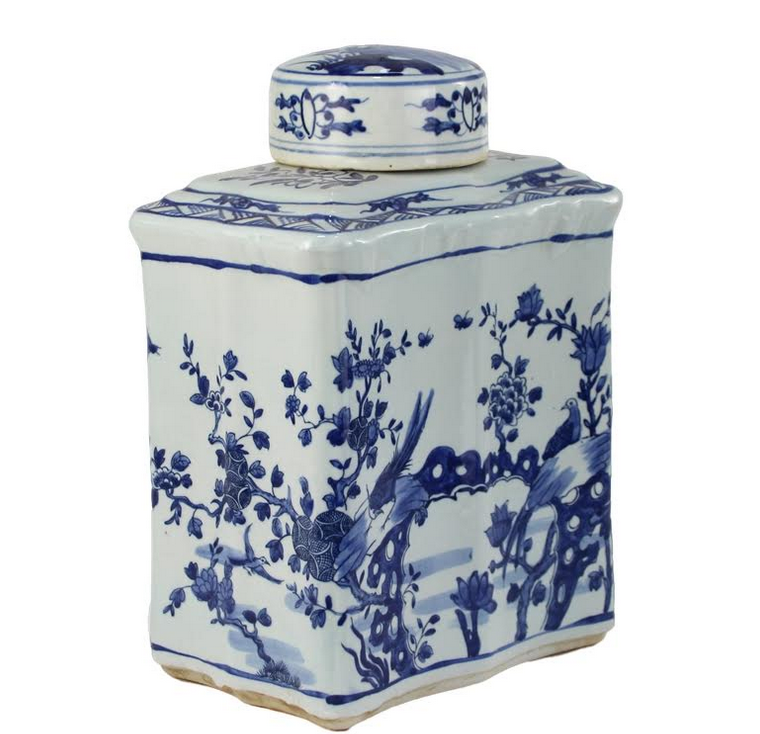 Looking to expand my blue and white collection. I think the pagoda is special. Can it it contain water at each level? Can flowers from bulbs be placed at each level ? I love the scalloped tea jars and the pagoda. Blue and white never gets old. 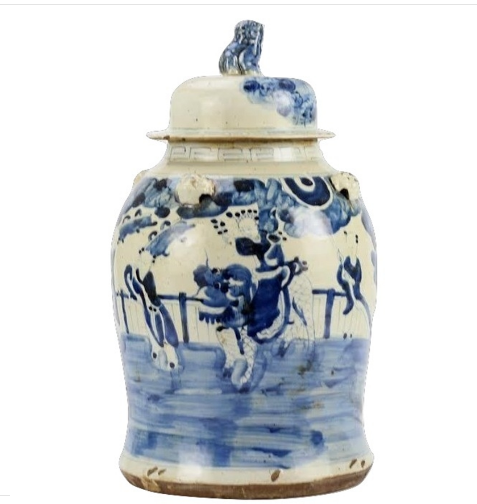 Love the large flat peasant jars! 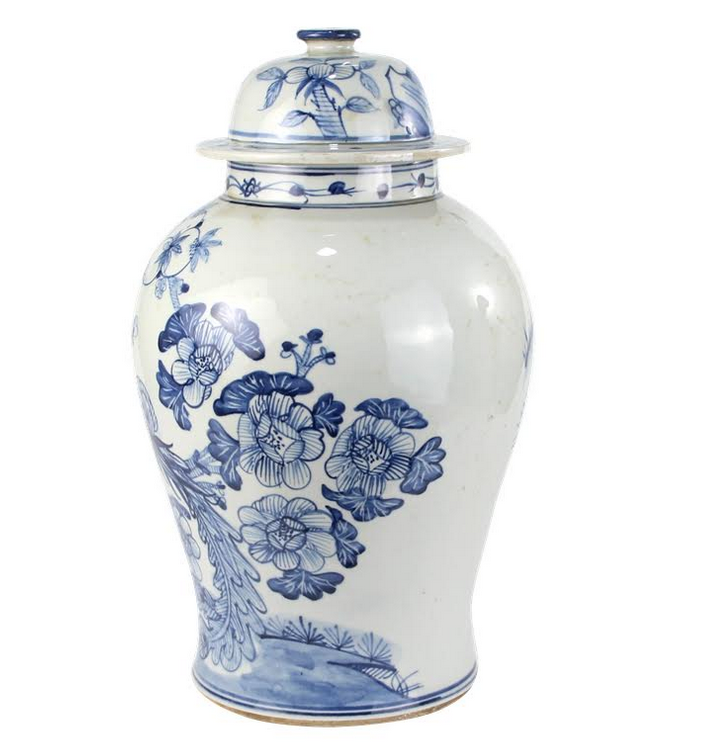 I like the smaller vases, perfect for powder rooms. I find it impossible to narrow down my favorites!! I love them all!! I love the number 31 bowl! Even my grand children appreciate my passion for blue and white. When they see dishes or furniture or whatever in a store or museum, they remark “Grandma would love this,”. I love the scalloped tea containers! I am a big fan of tea and absolutely hate the taste and smell of coffee. 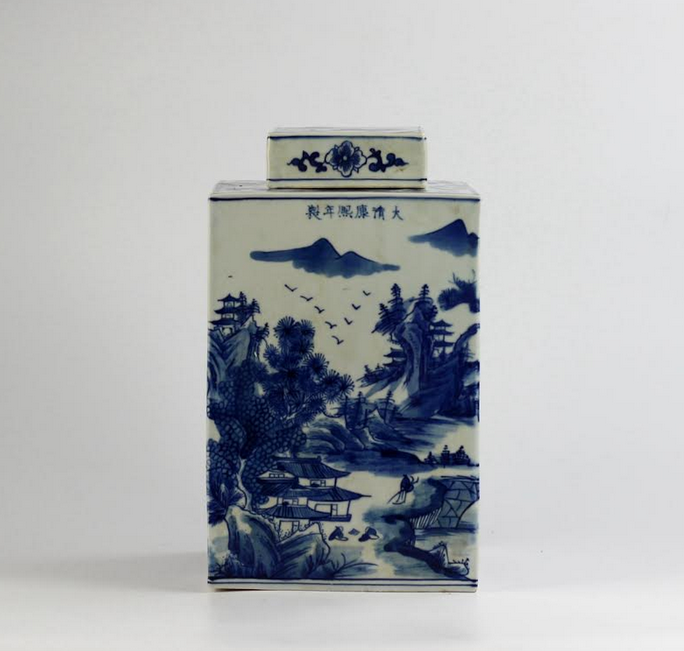 I am so glad I live in a time when tea is affordable and tea boxes are used for decoration. I’m mad for blue & white-never ever never gets old. #6. Stunning. I love these pieces, so much more beautiful than knock offs at big box stores. It will be hard to decide which pieces I want, but I will be making my selections soon. Scrolled thru them all, it will be difficult to choose.